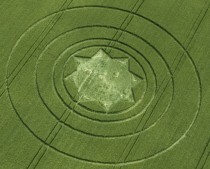 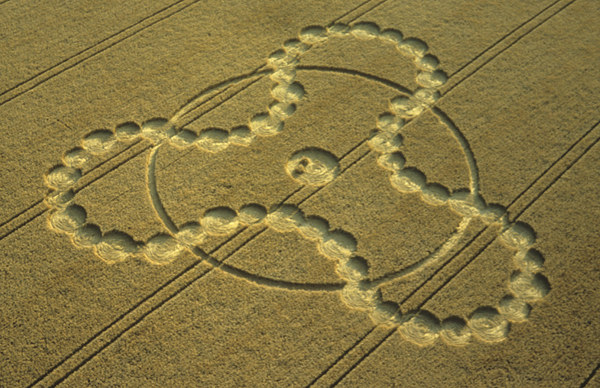 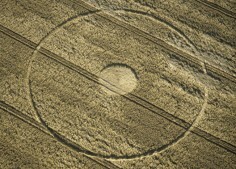 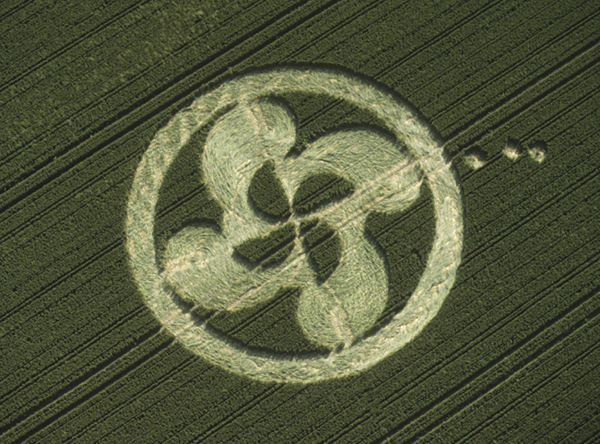 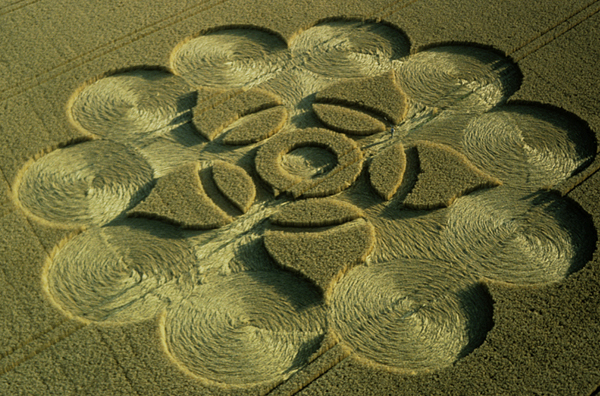 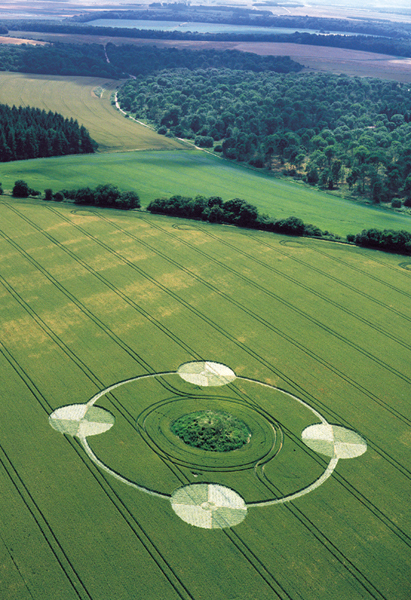 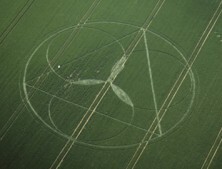 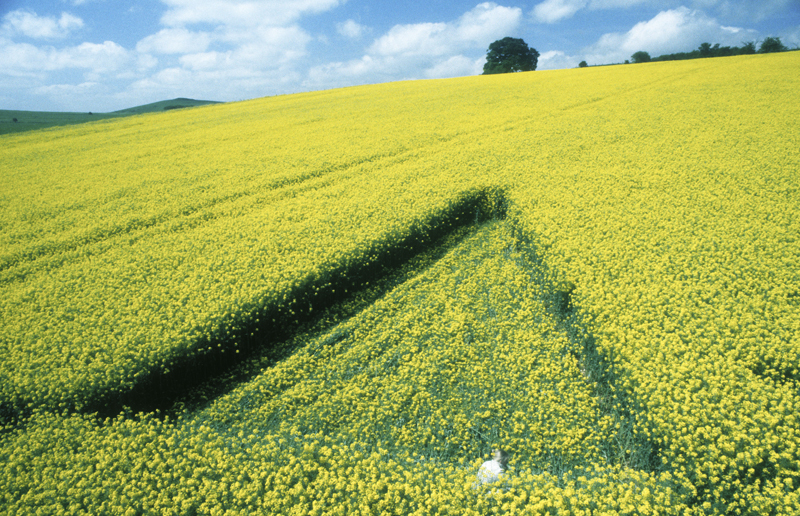 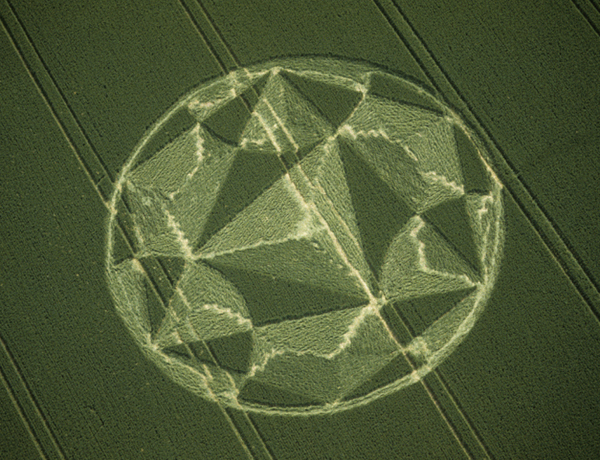 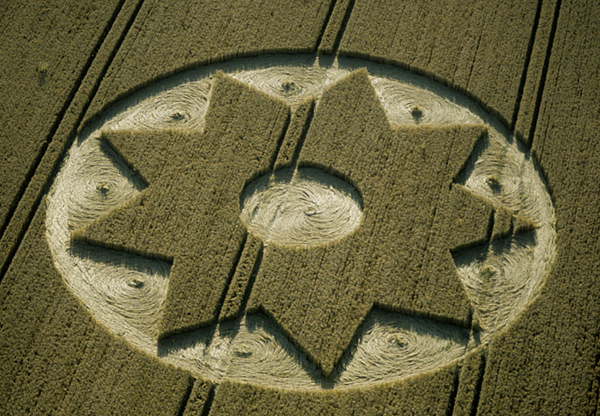 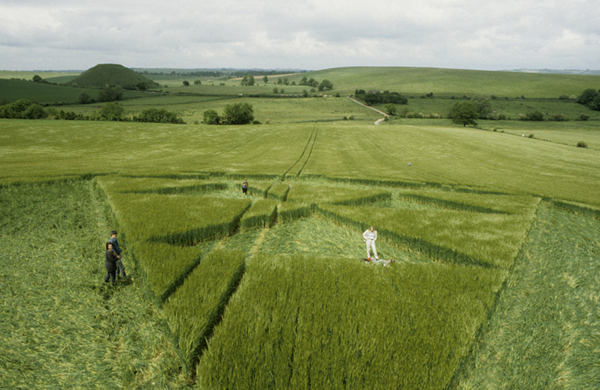 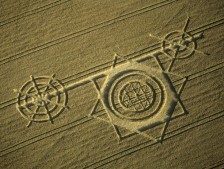 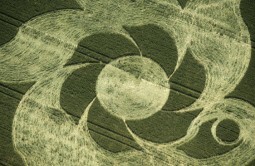 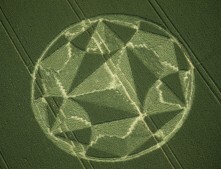 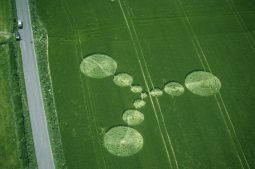 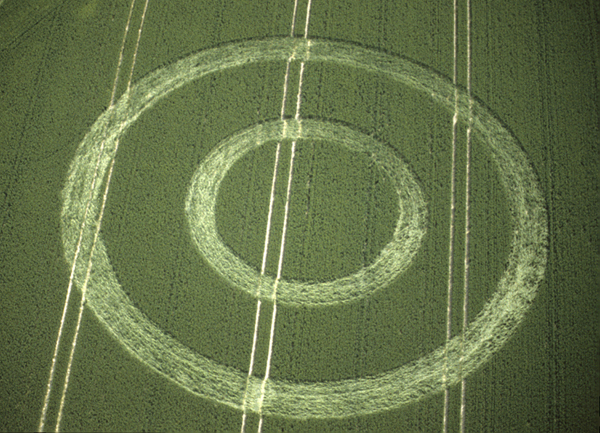 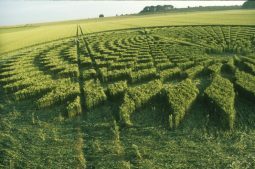 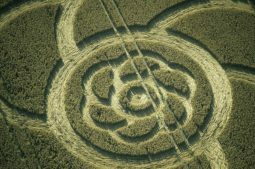 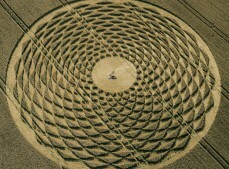 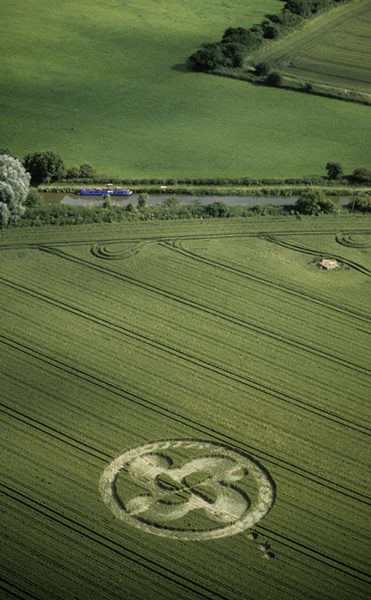 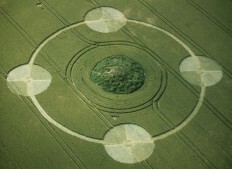 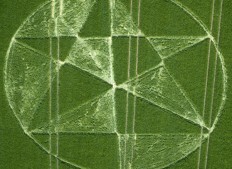 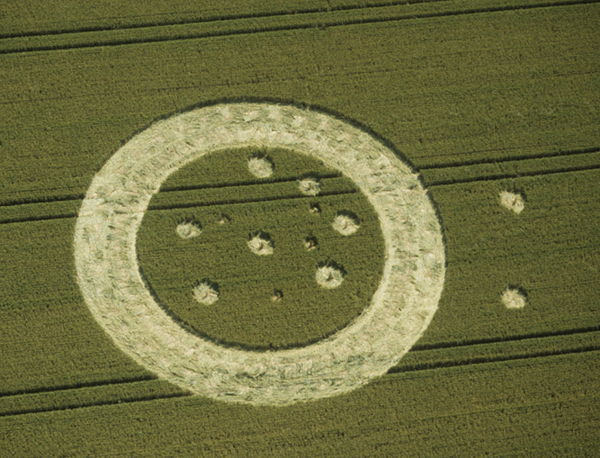 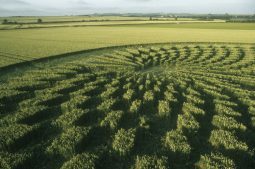 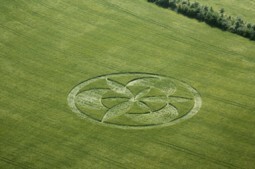 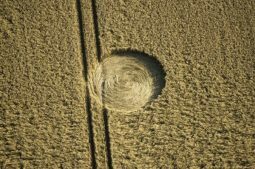 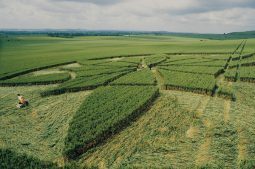 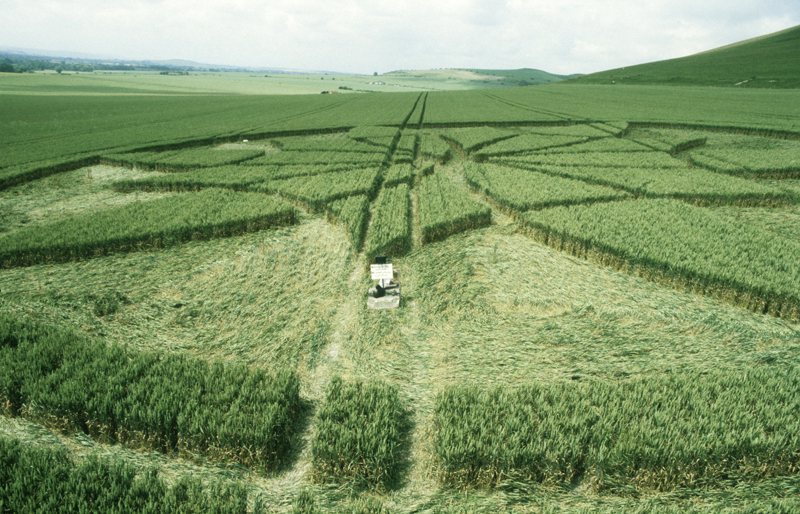 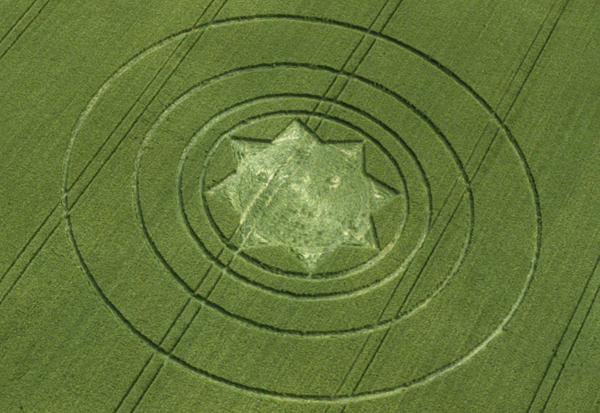 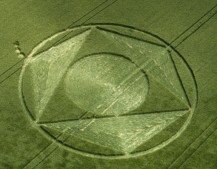 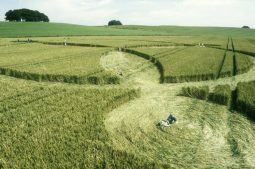 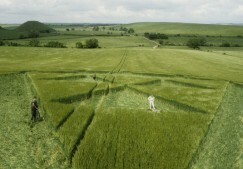 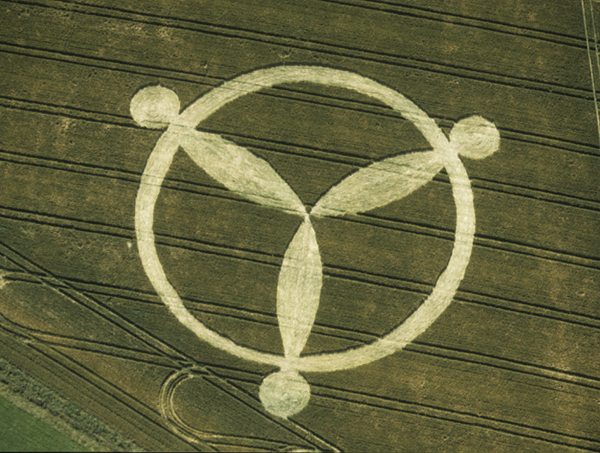 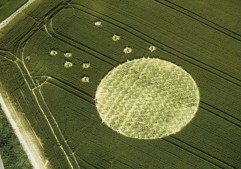 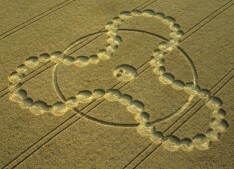 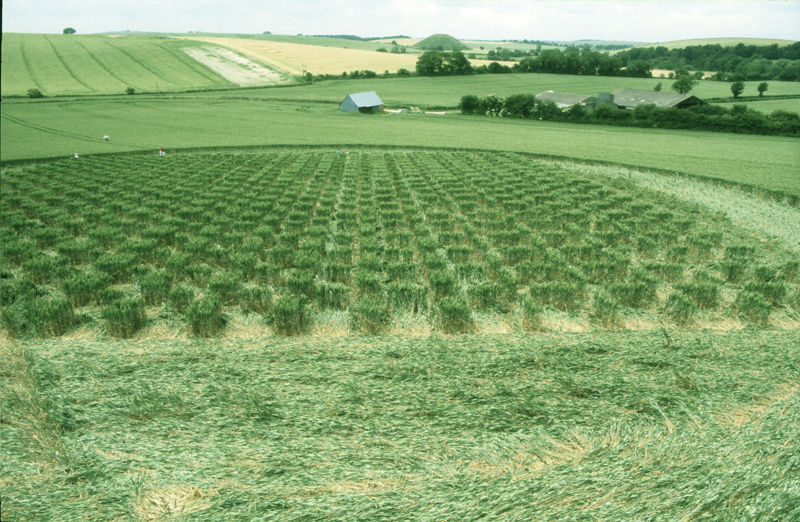 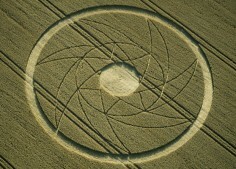 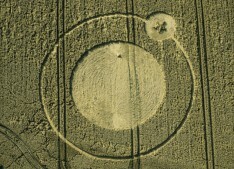 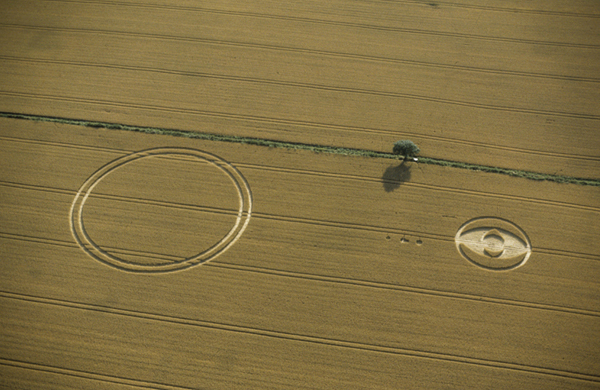 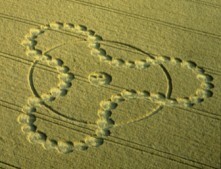 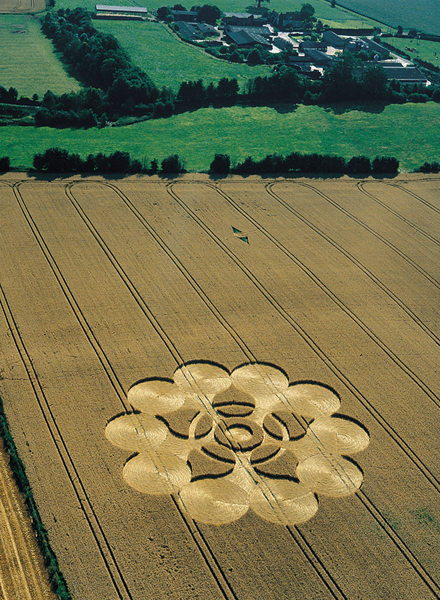 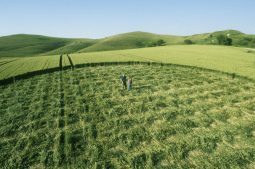 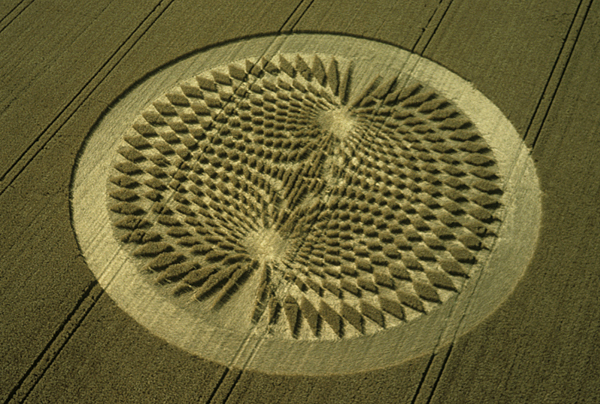 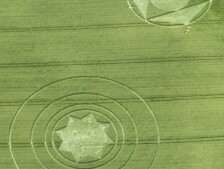 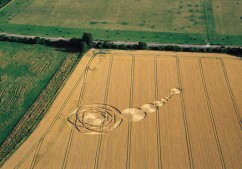 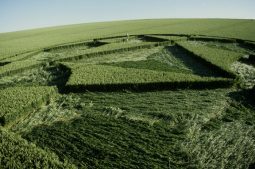 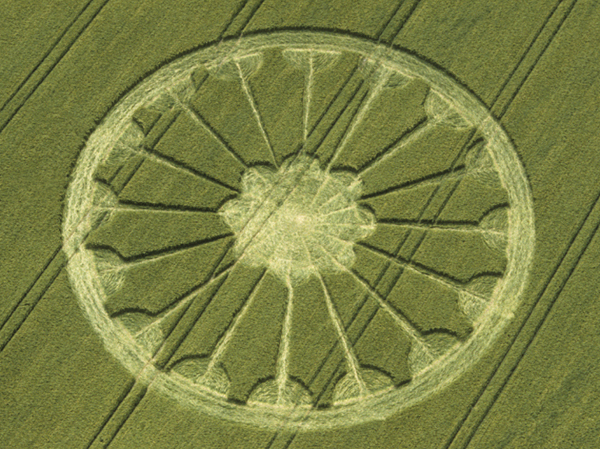 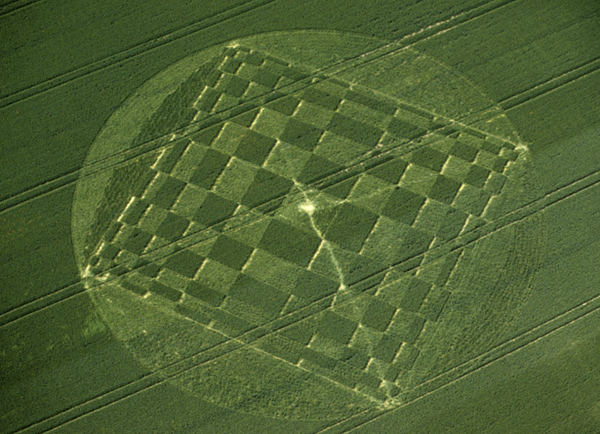 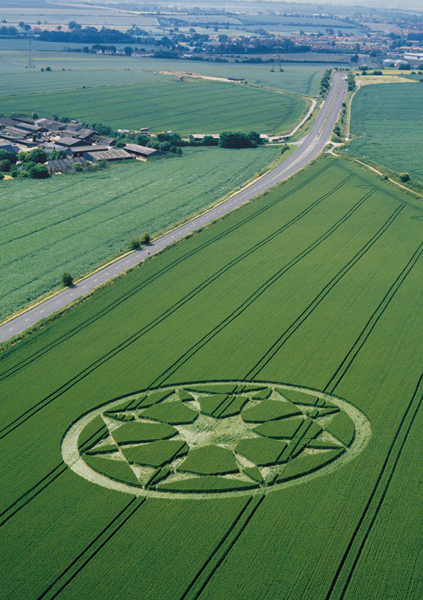 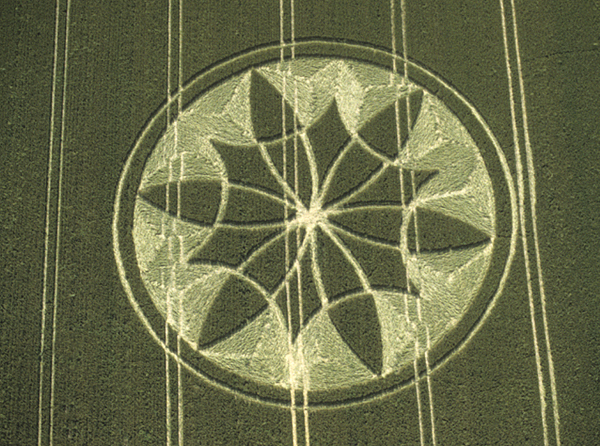 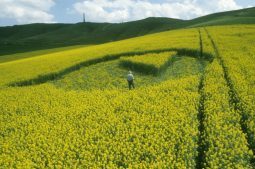 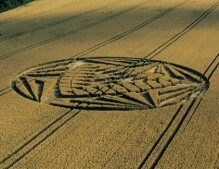 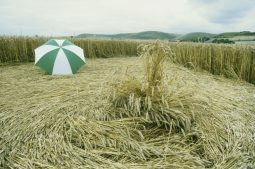 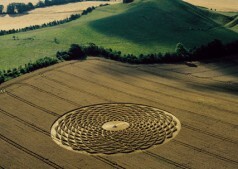 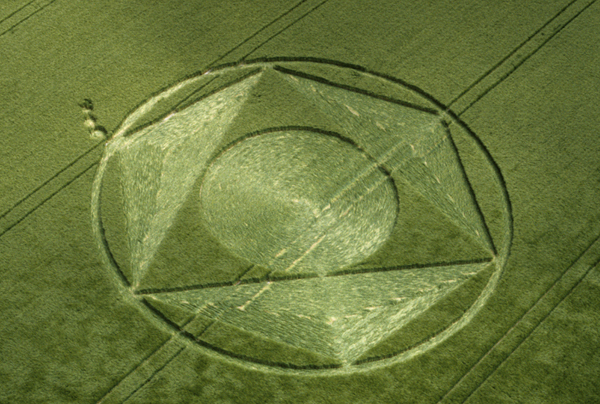 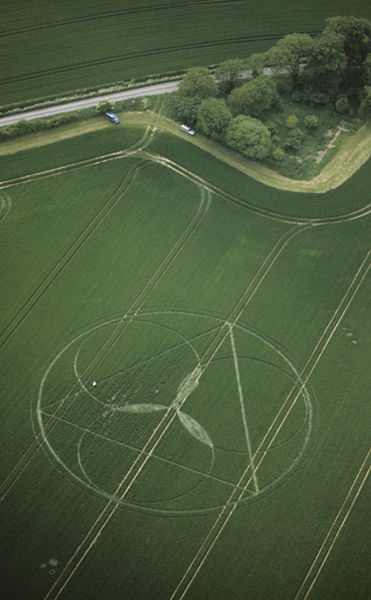 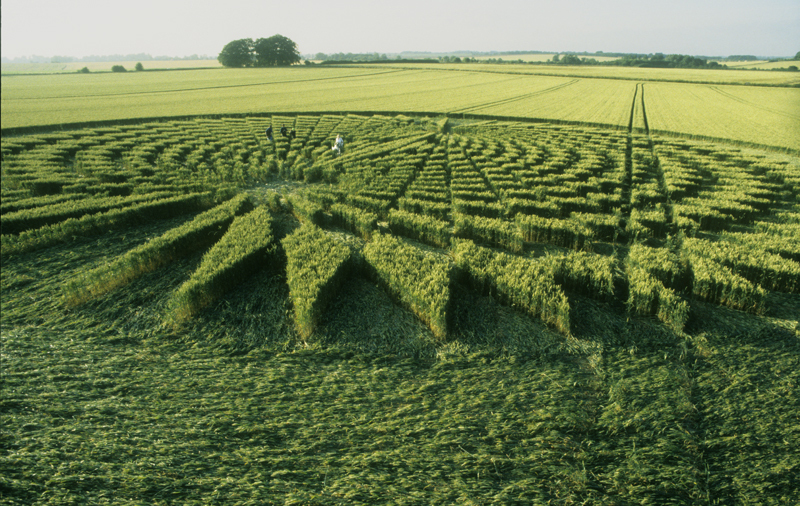 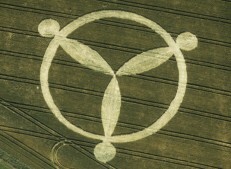 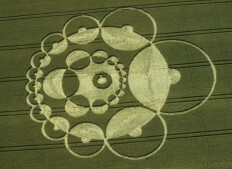 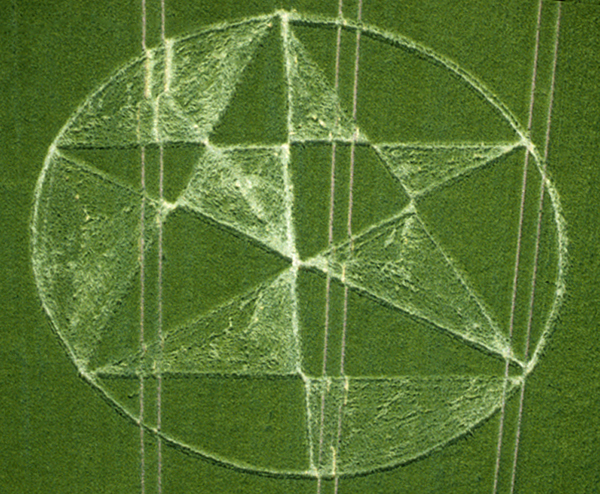 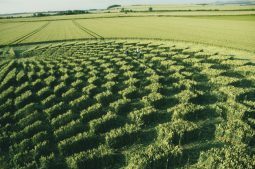 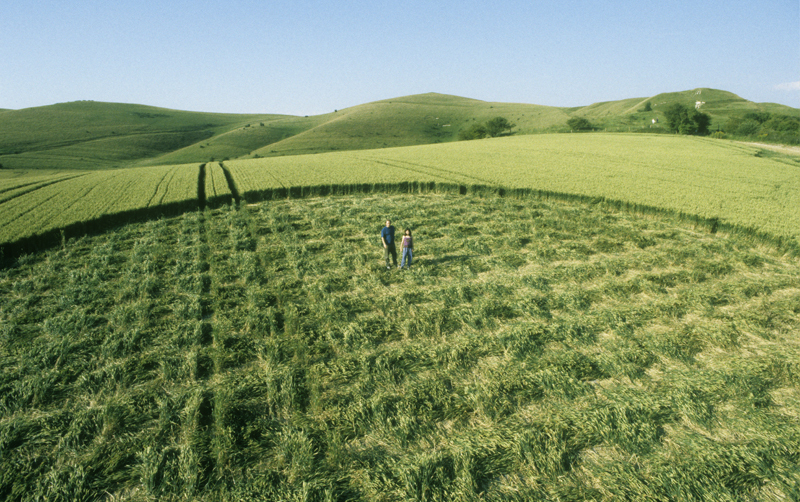 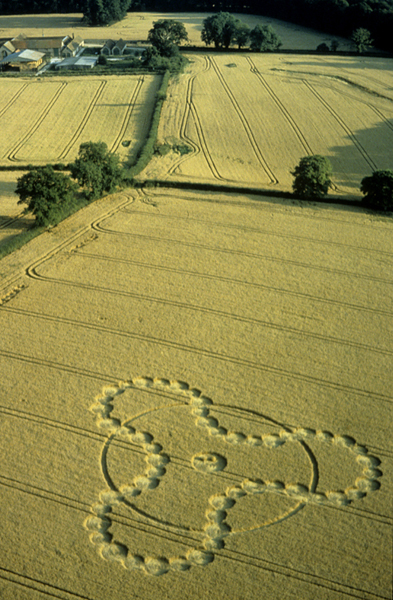 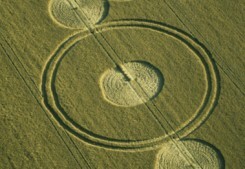 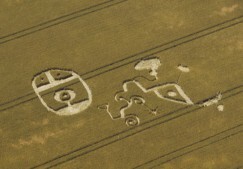 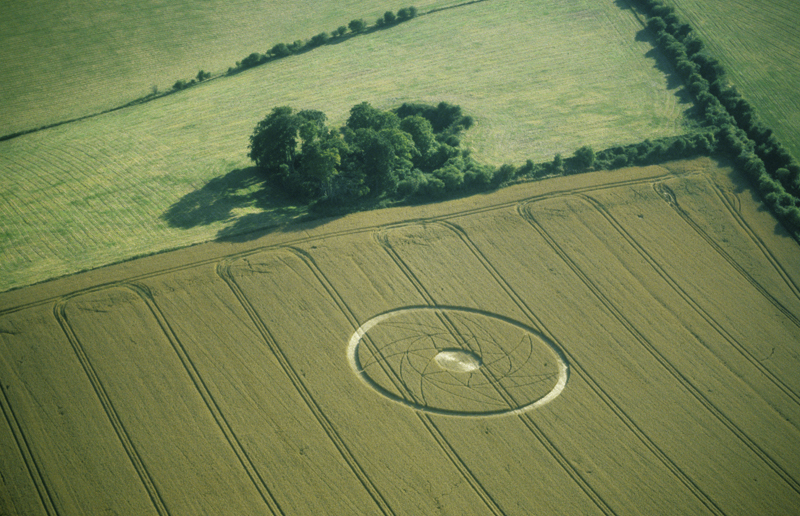 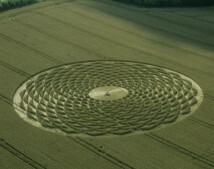 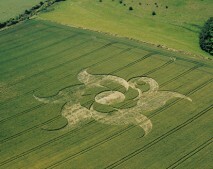 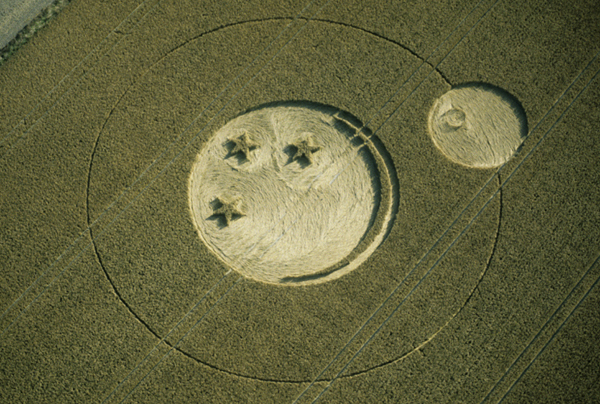 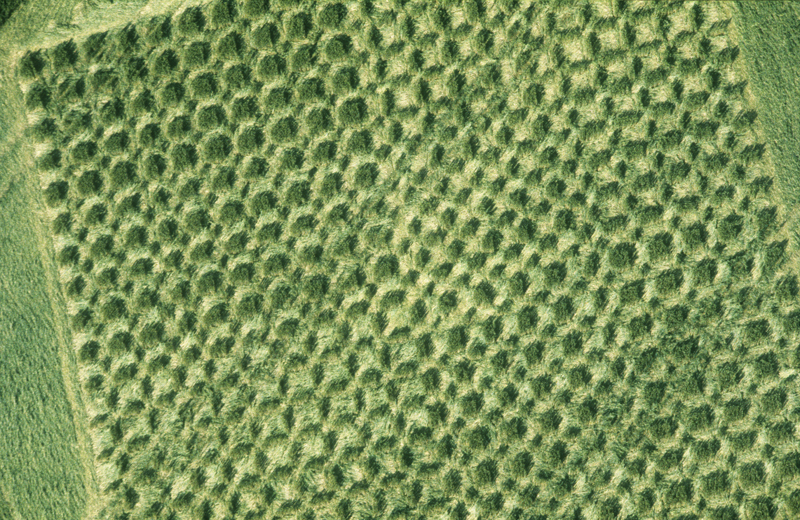 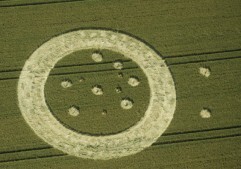 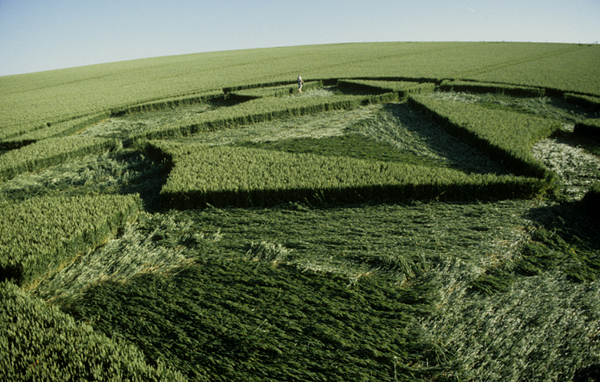 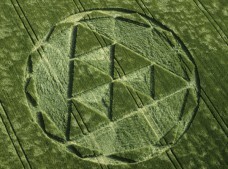 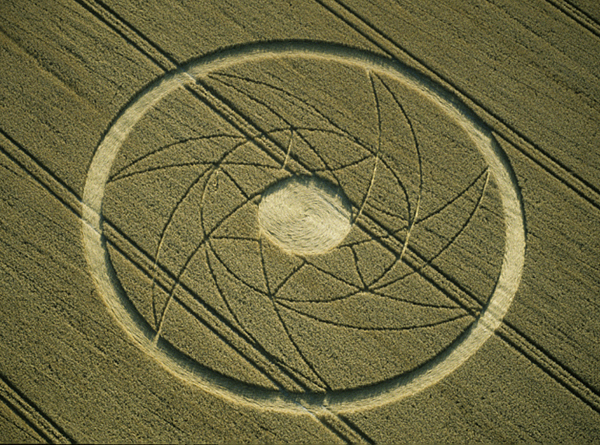 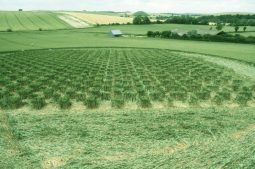 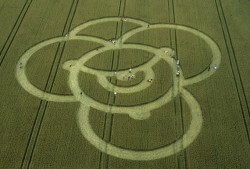 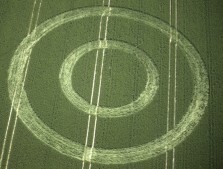 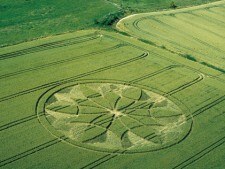 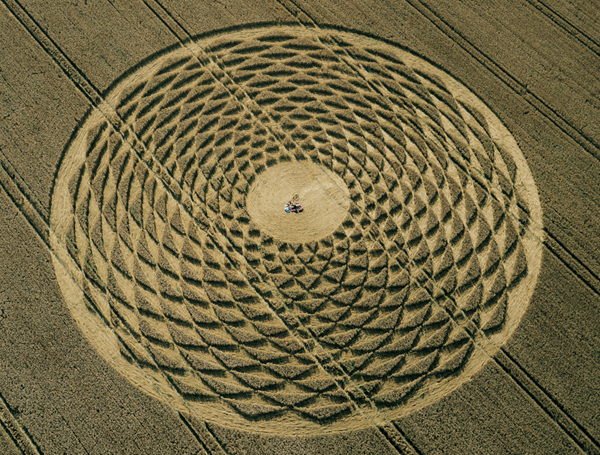 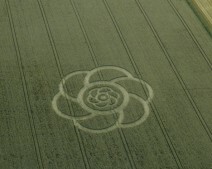 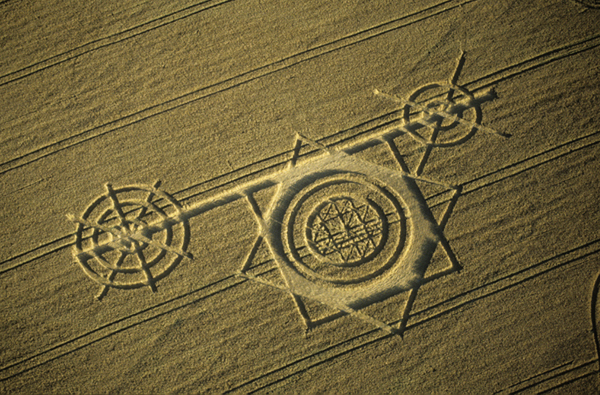 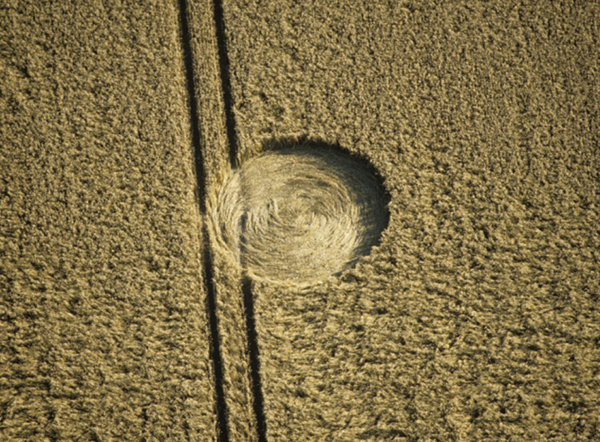 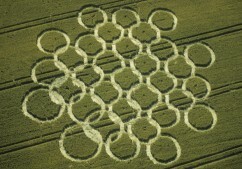 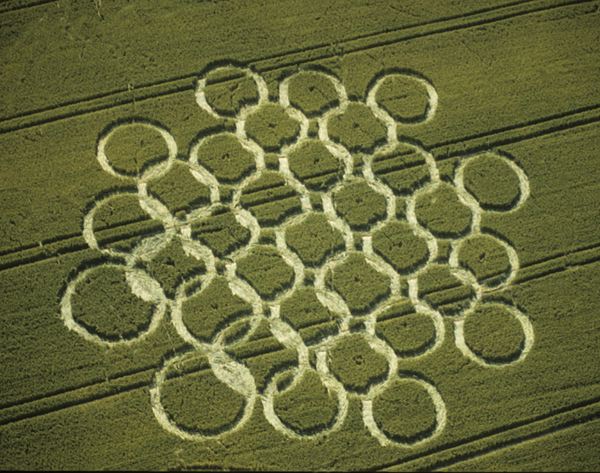 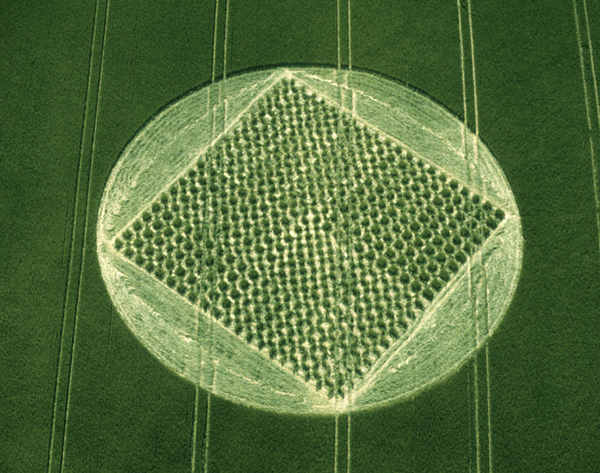 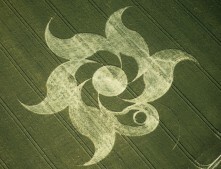 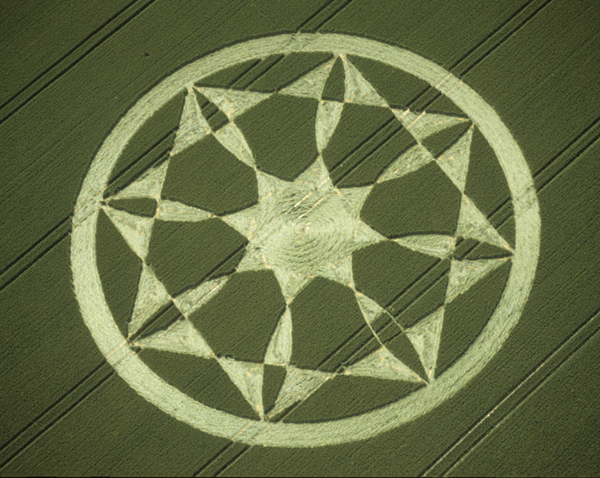 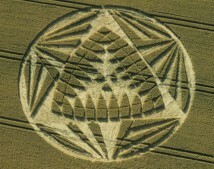 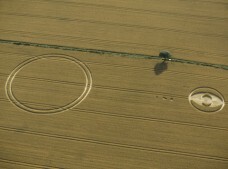 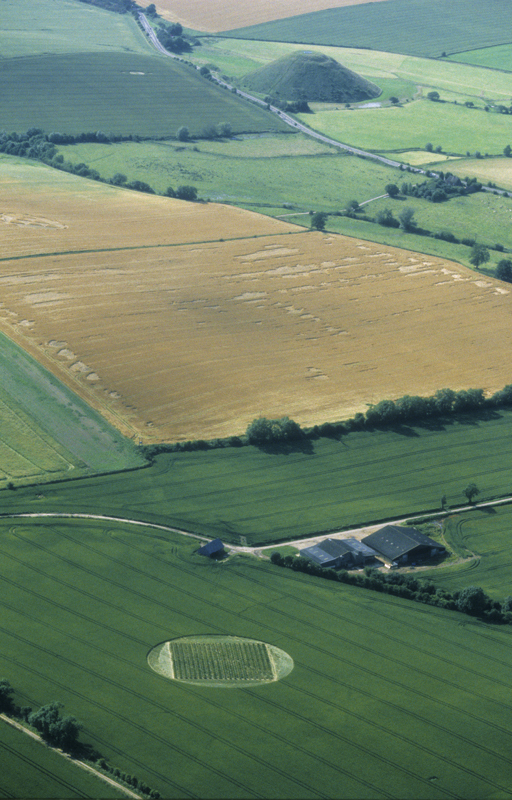 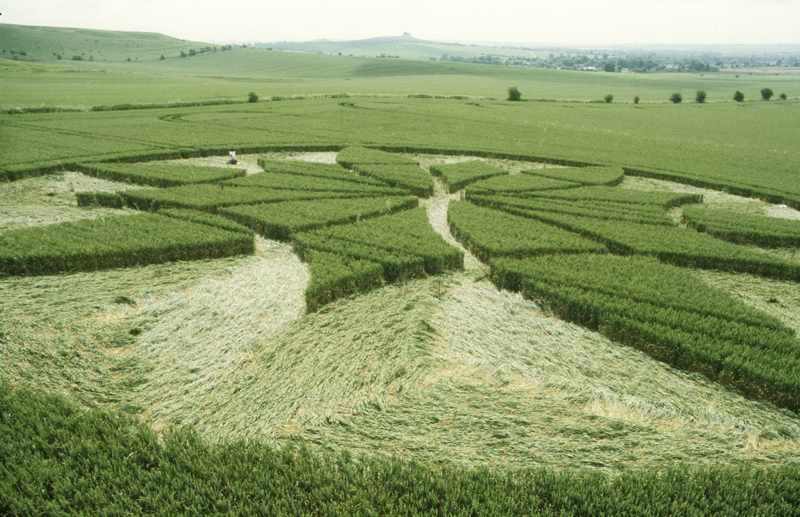 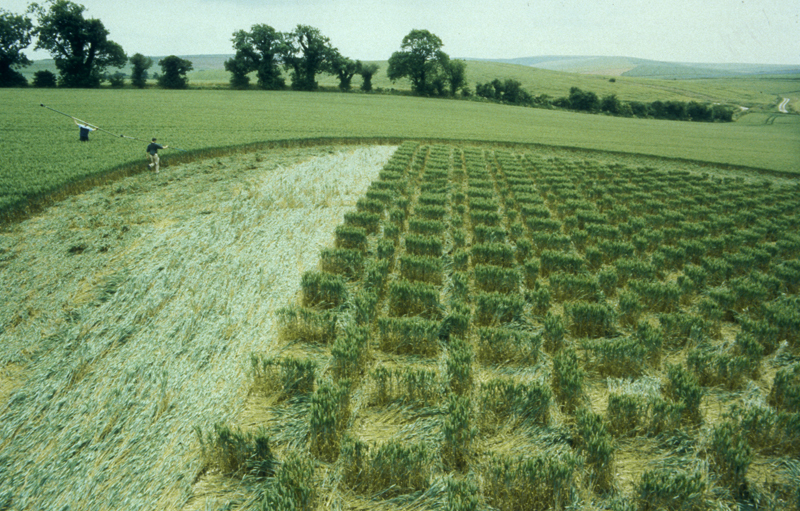 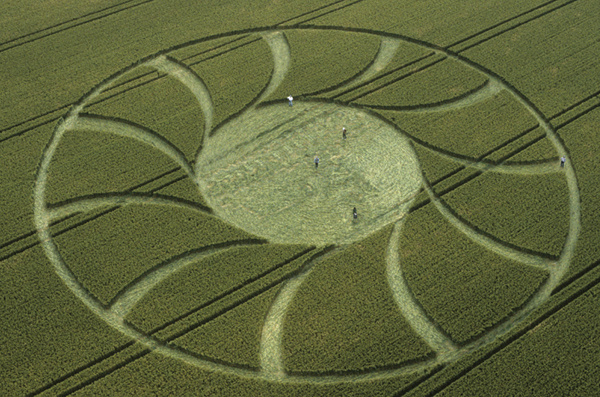 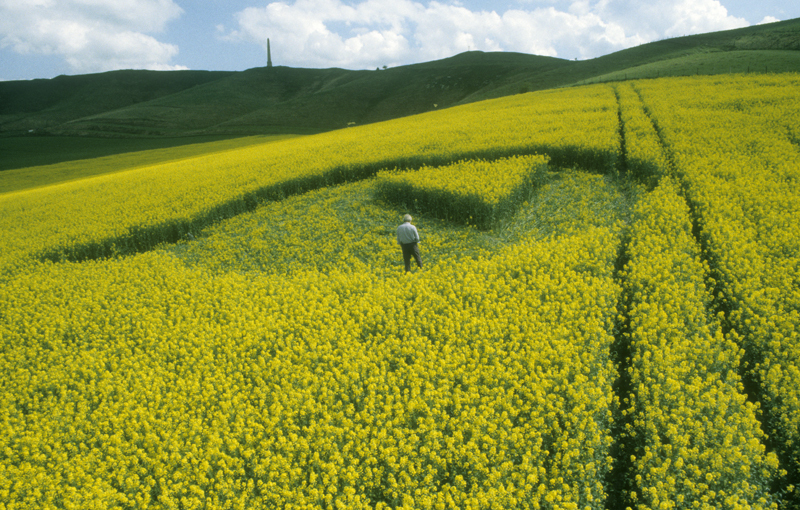 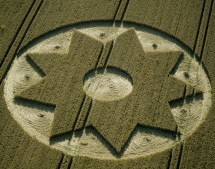 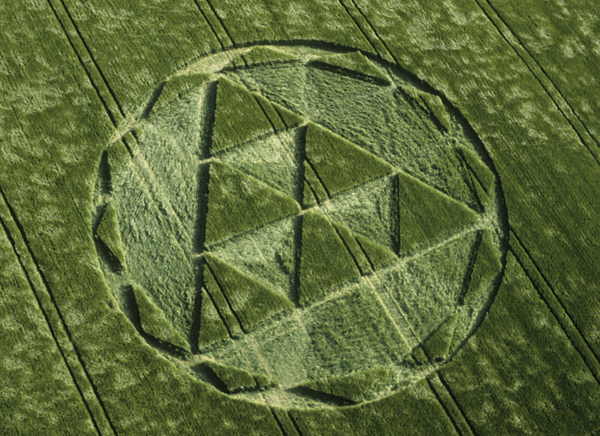 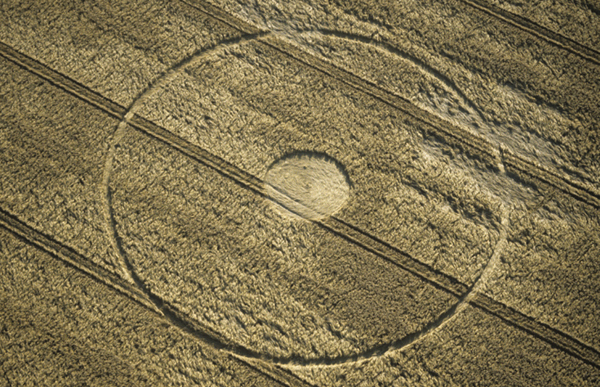 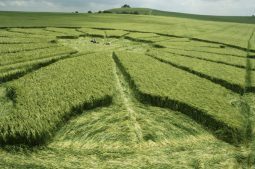 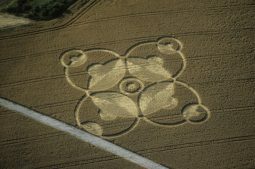 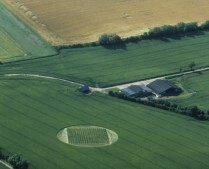 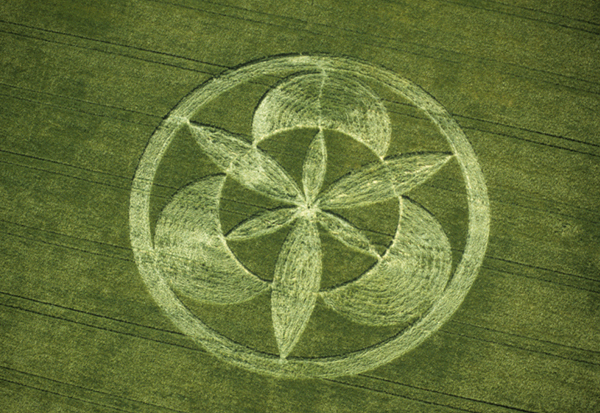 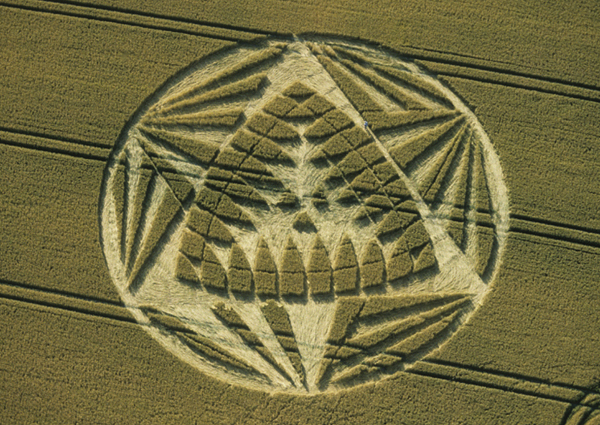 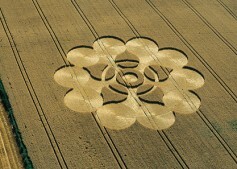 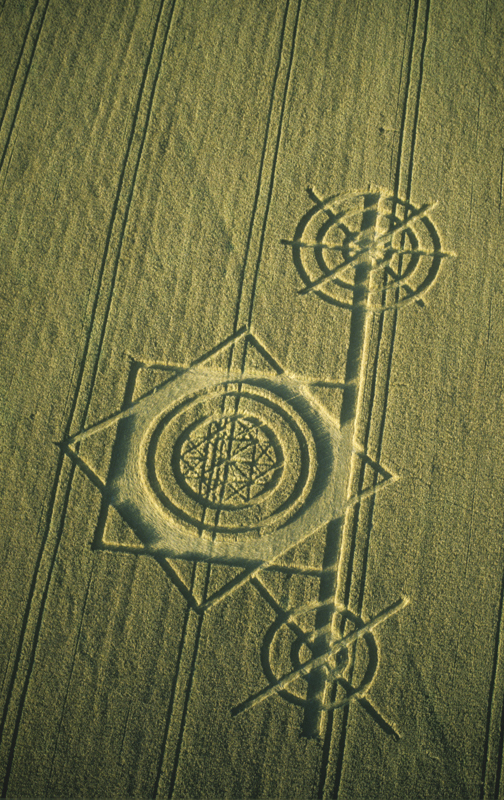 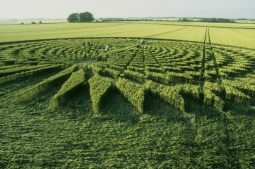 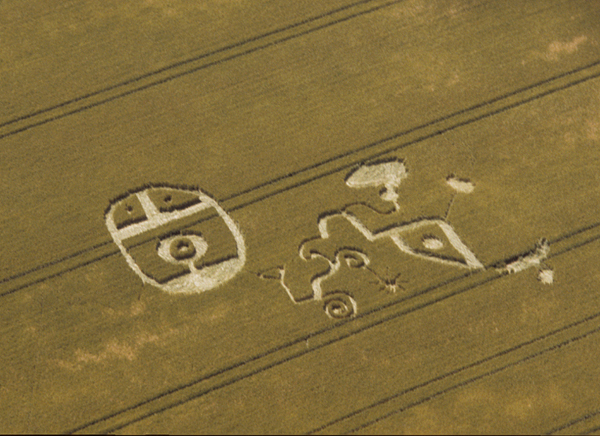 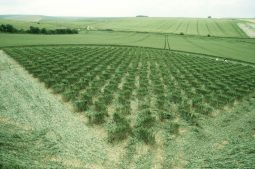 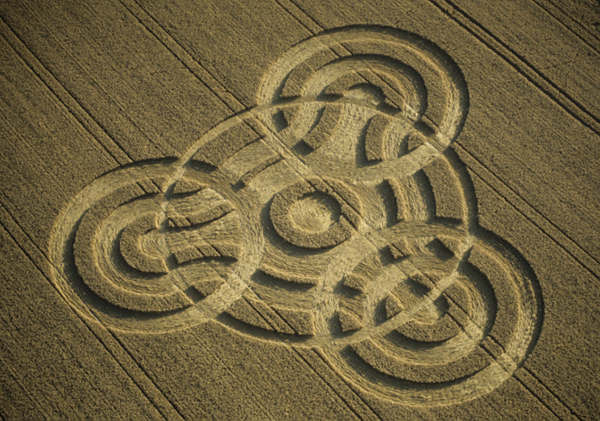 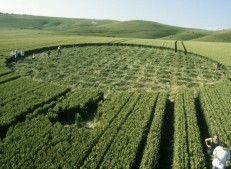 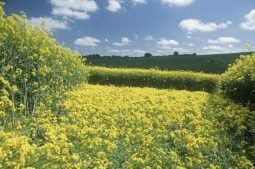 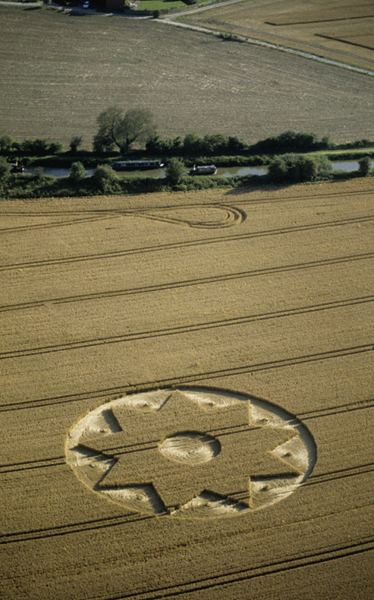 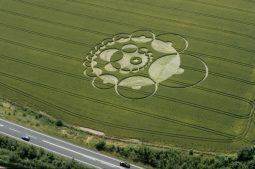 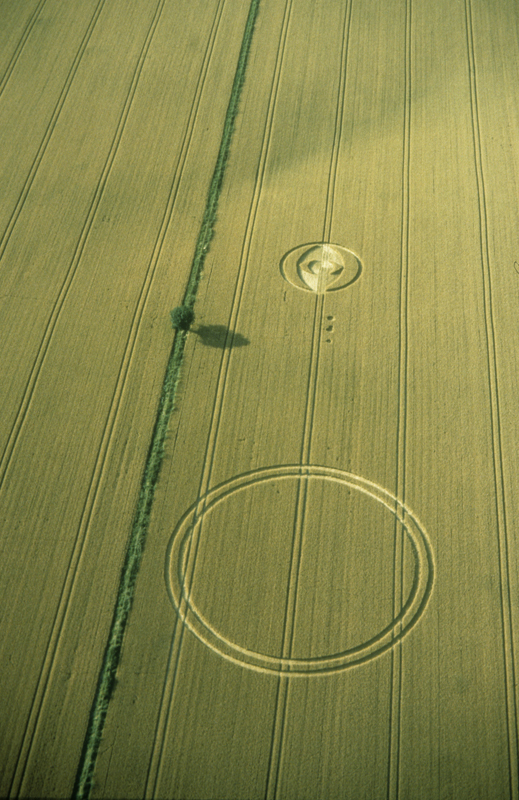 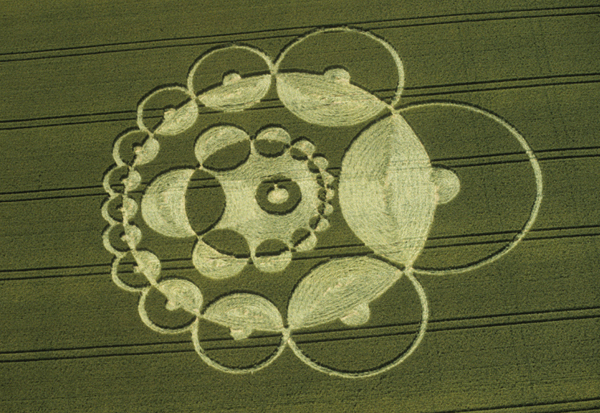 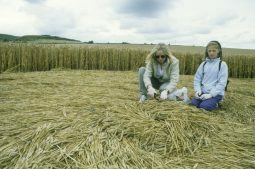 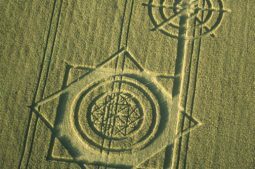 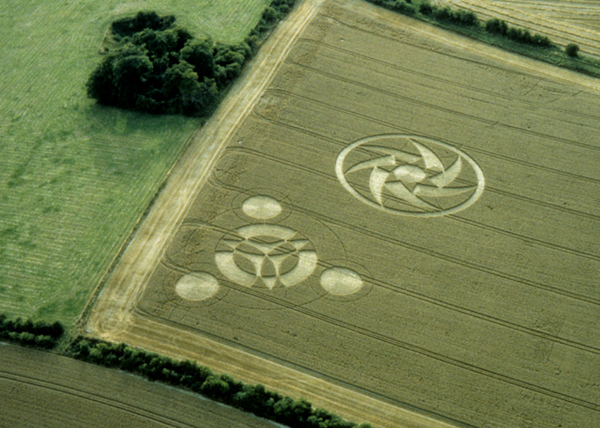 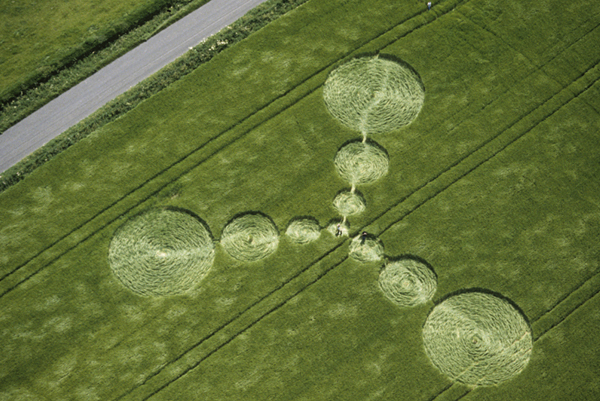 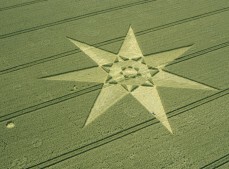 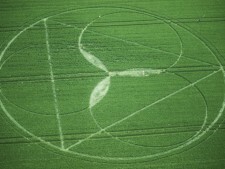 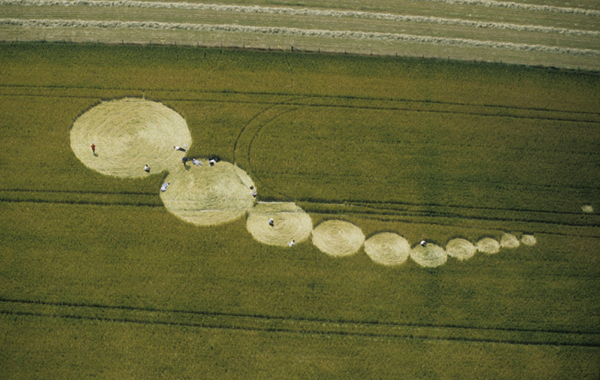 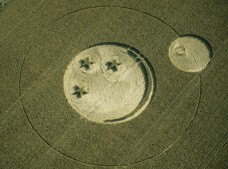 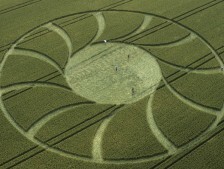 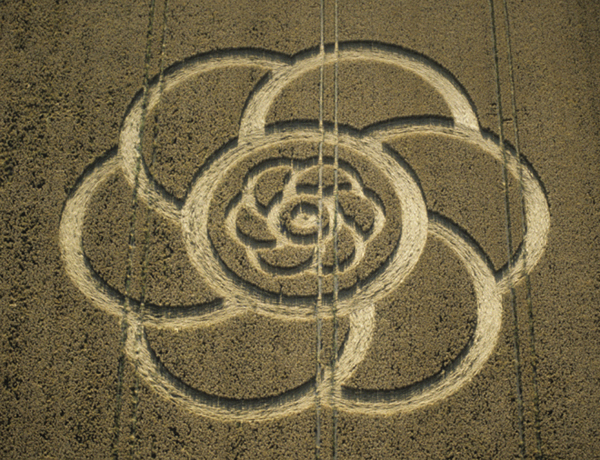 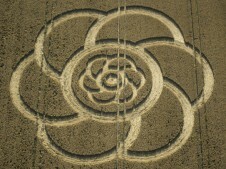 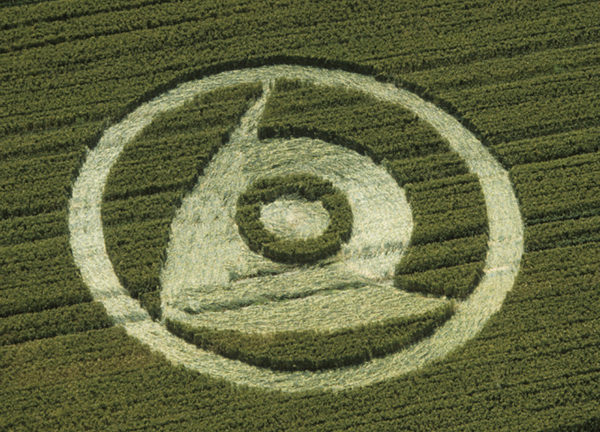 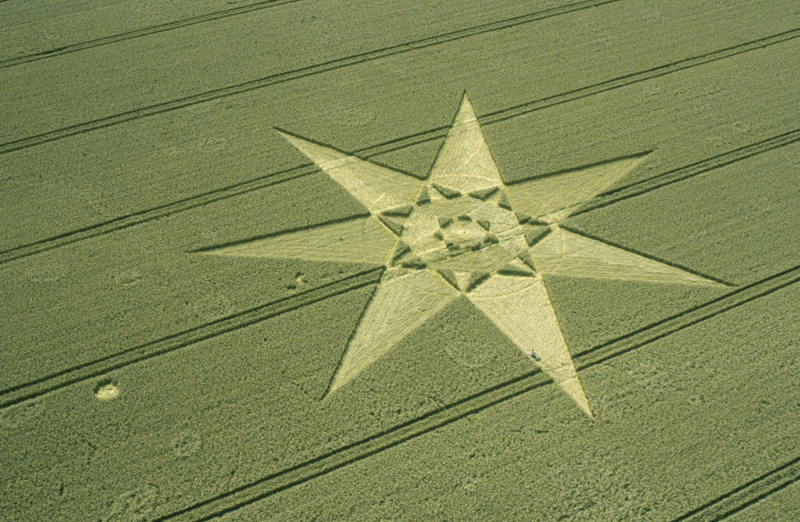 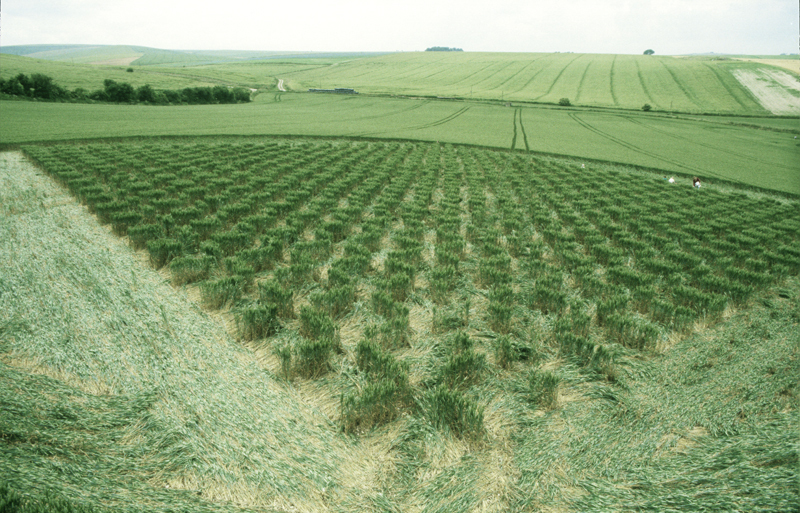 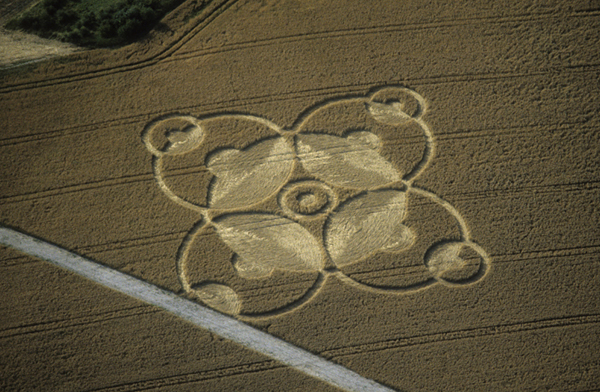 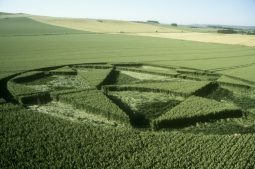 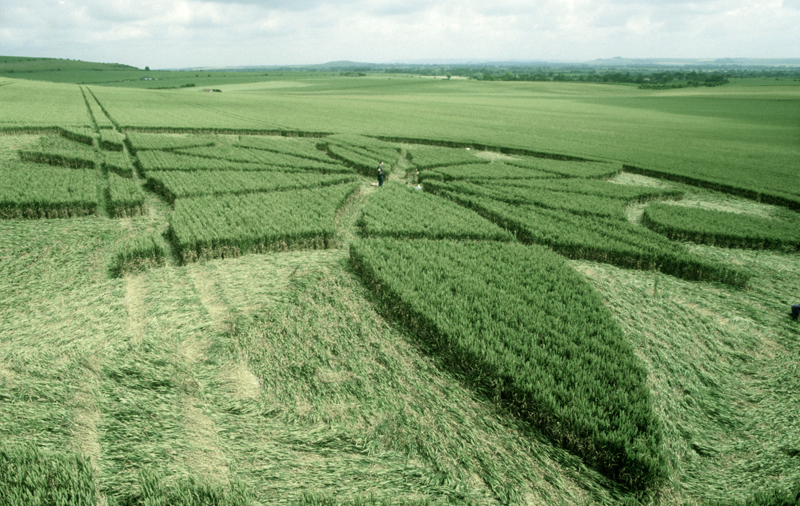 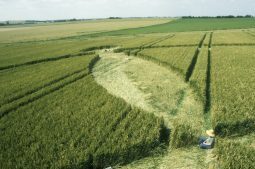 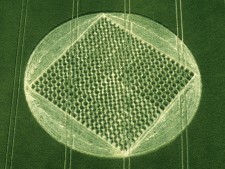 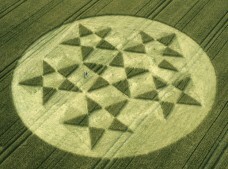 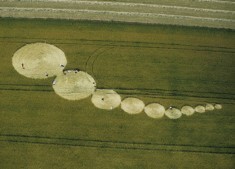 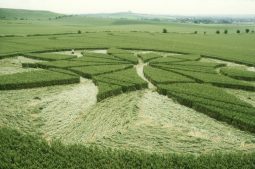 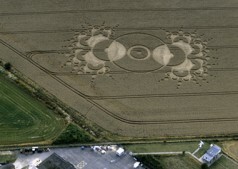 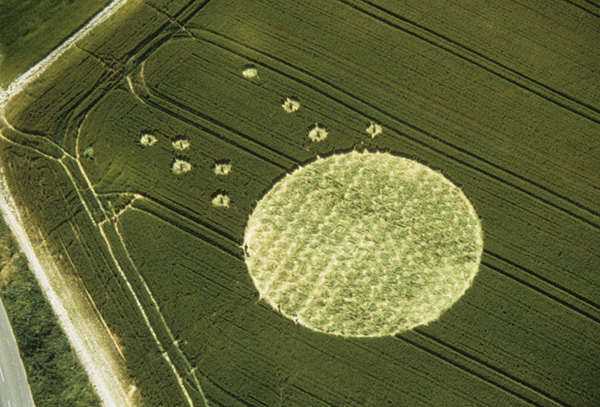 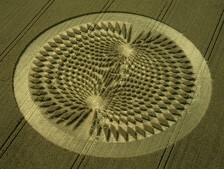 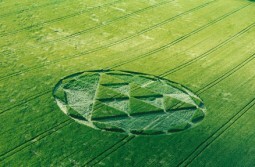 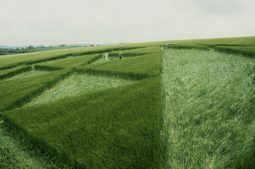 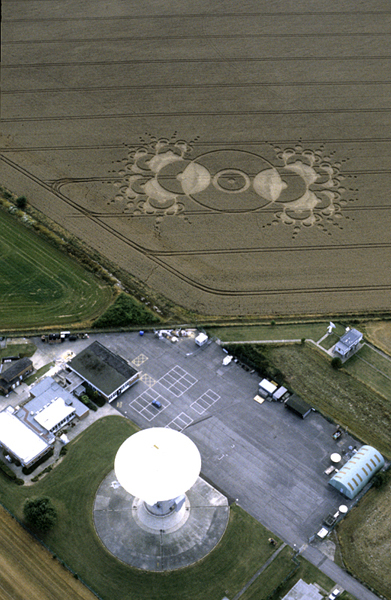 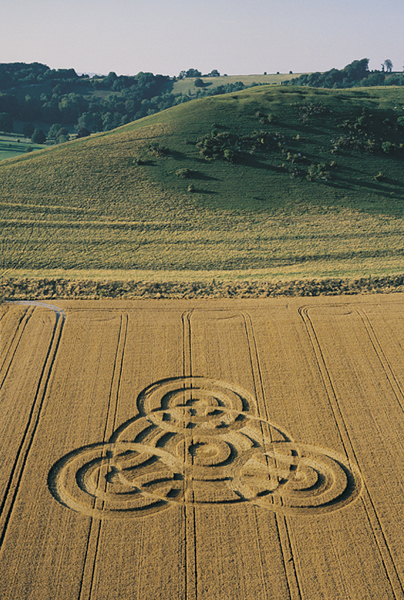 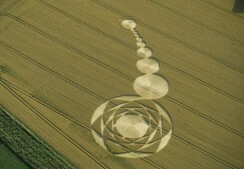 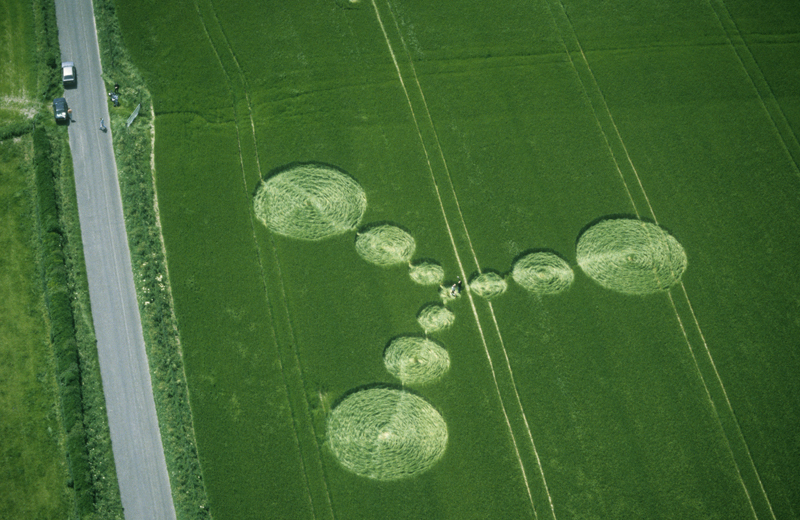 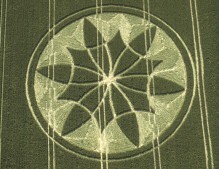 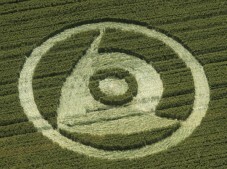 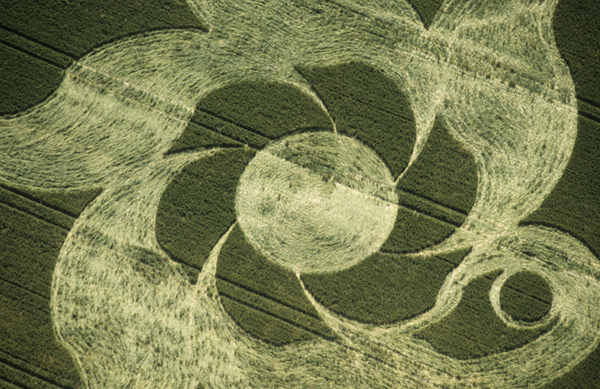 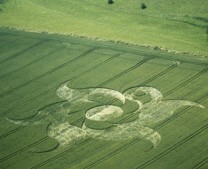 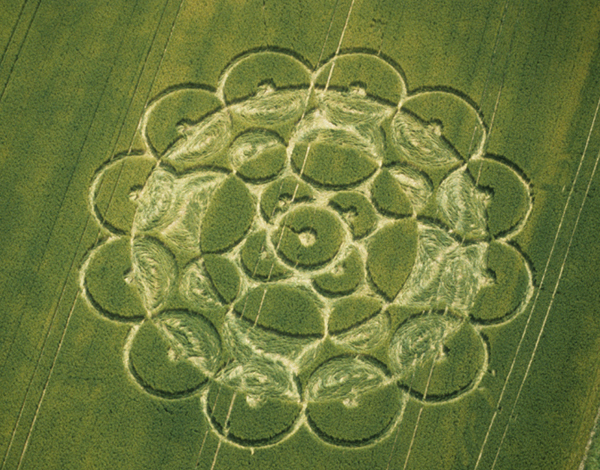 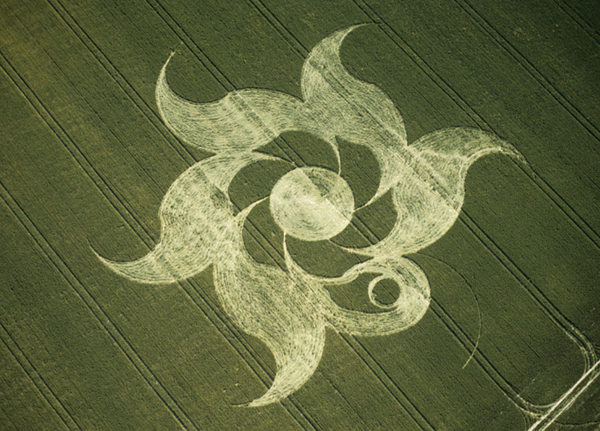 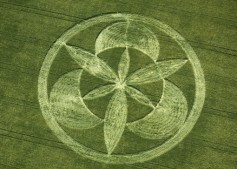 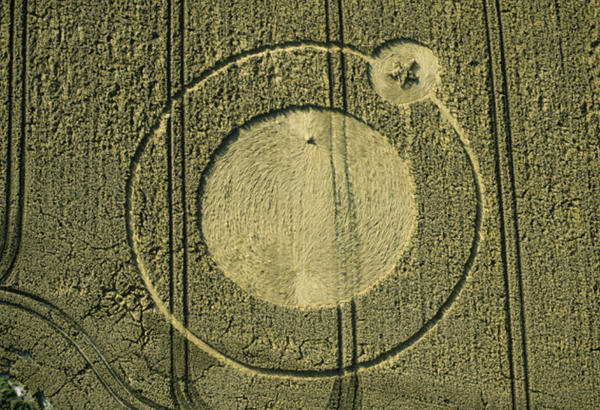 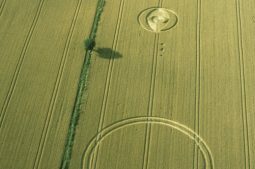 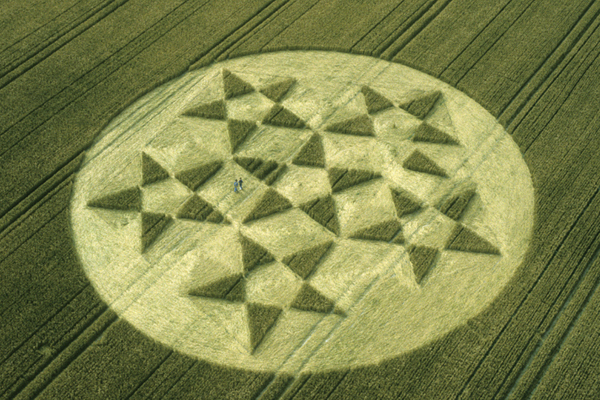 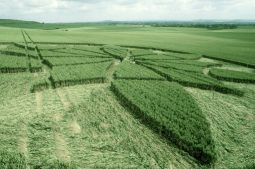 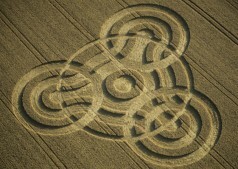 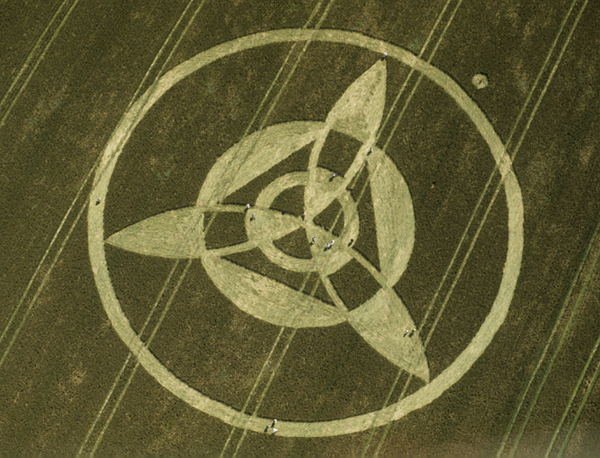 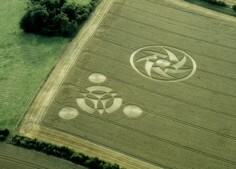 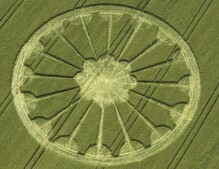 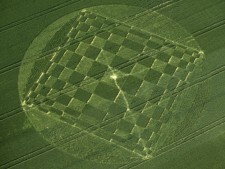 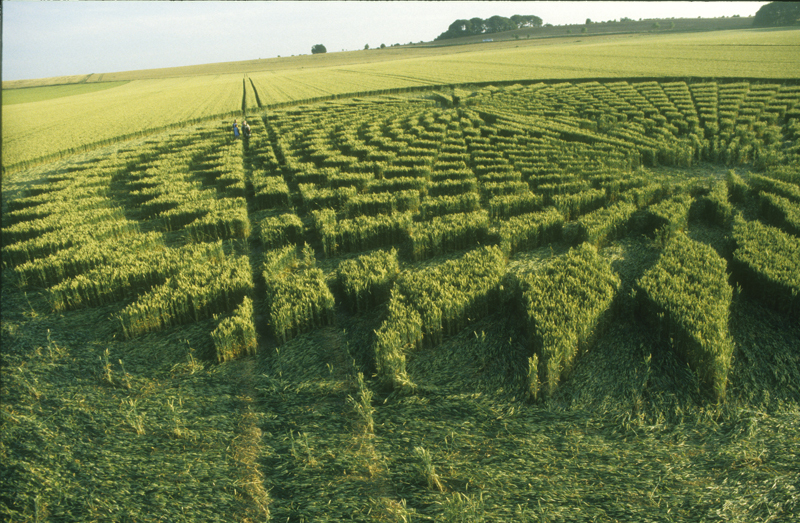 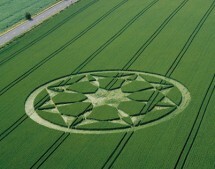 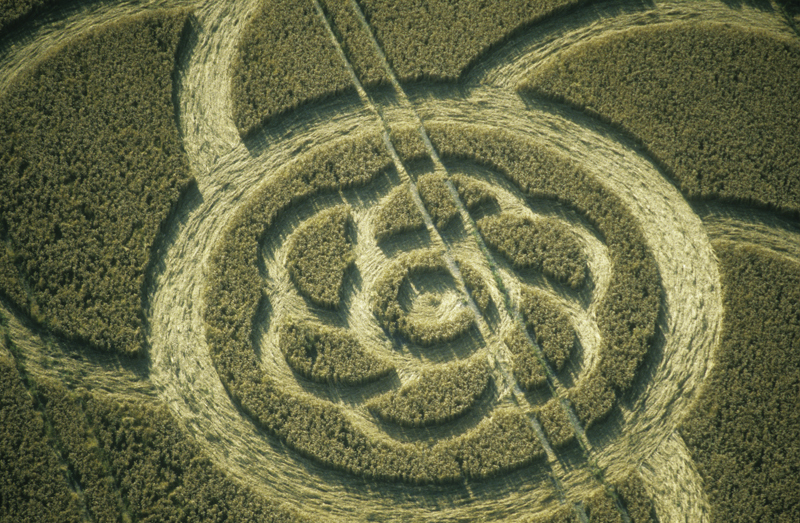 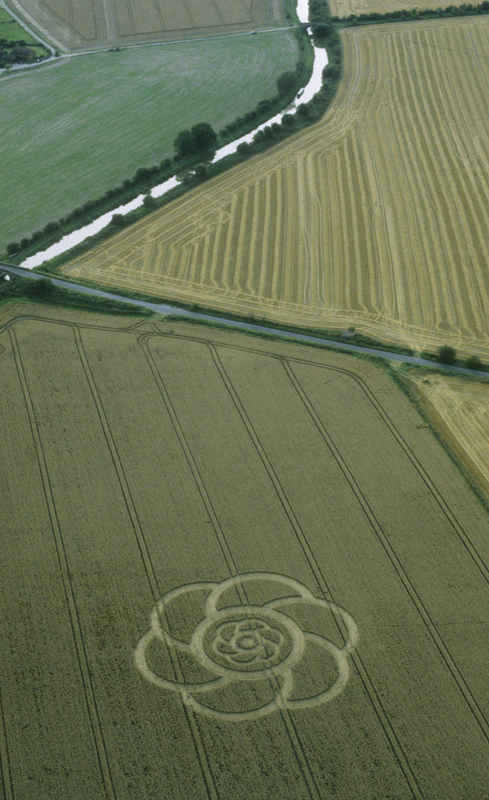 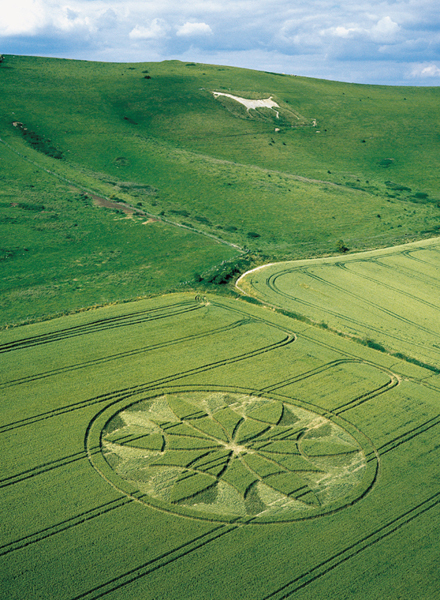 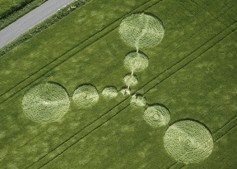 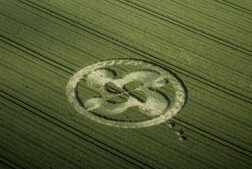 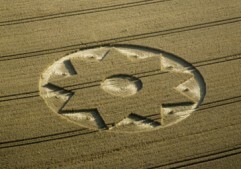 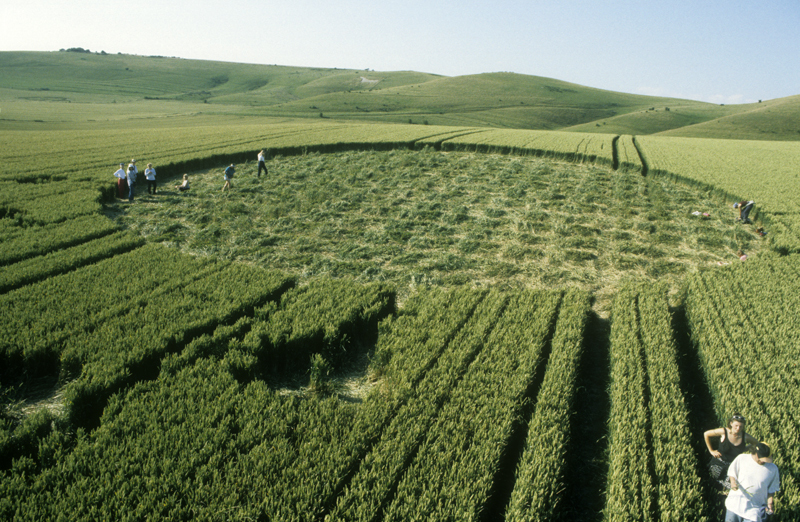 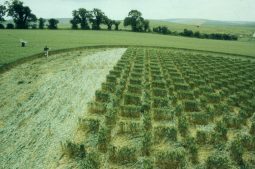 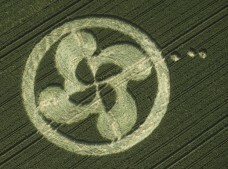 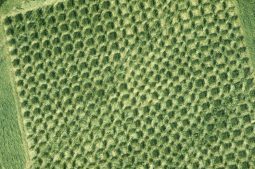 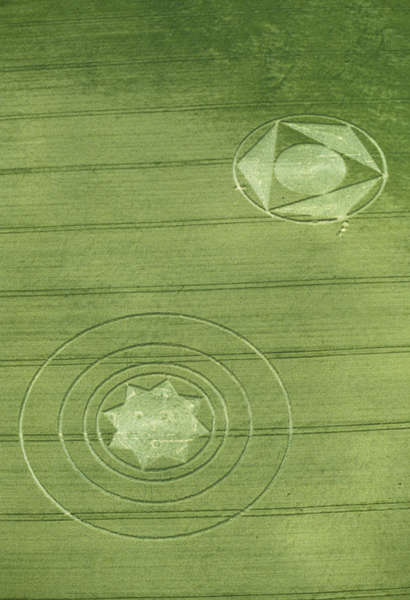 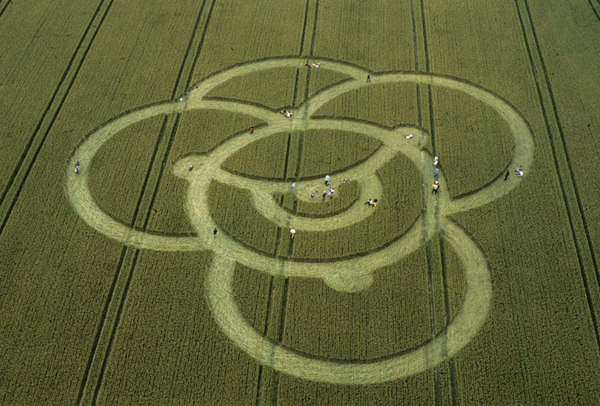 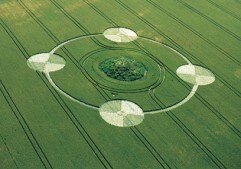 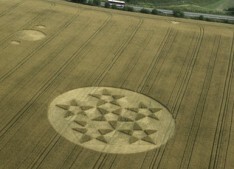 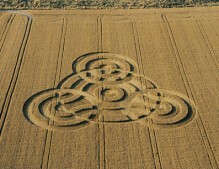 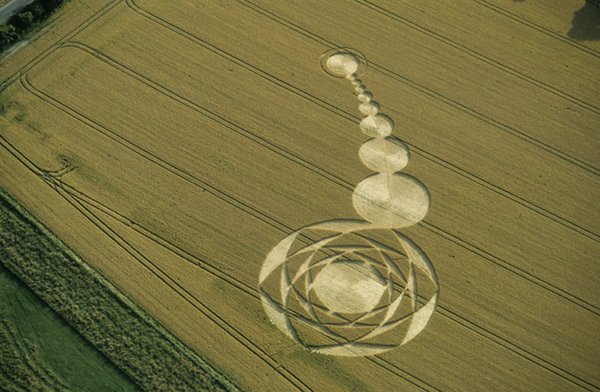 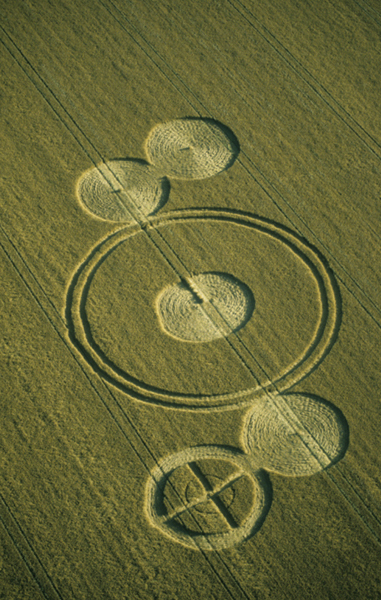 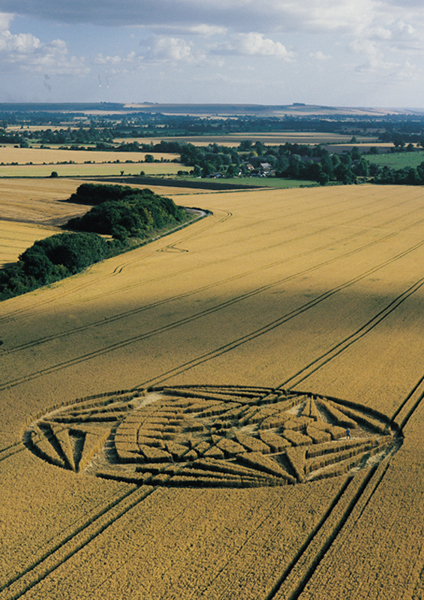 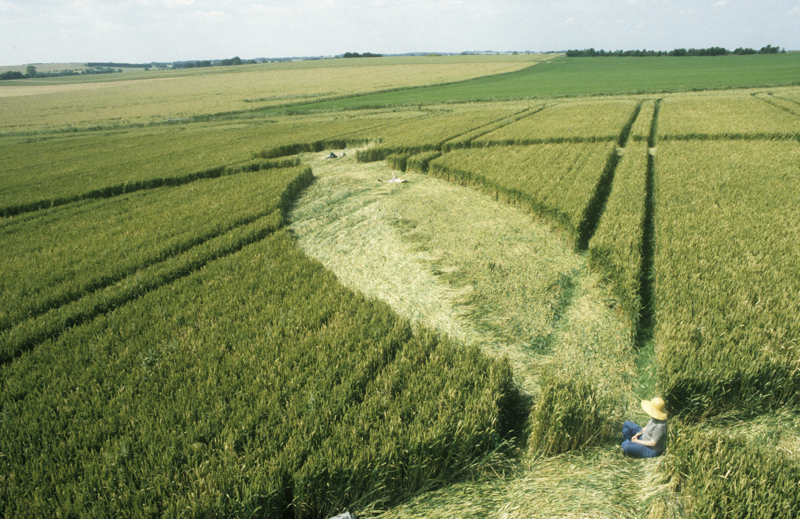 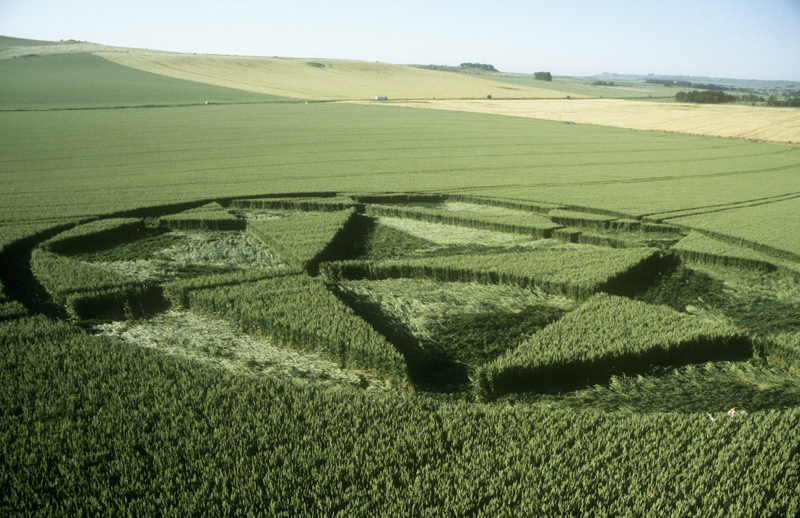 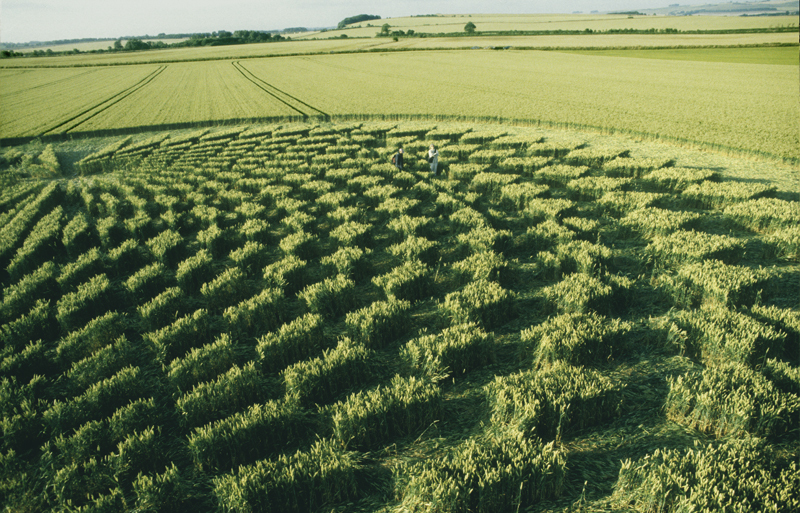 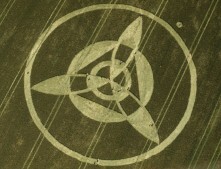 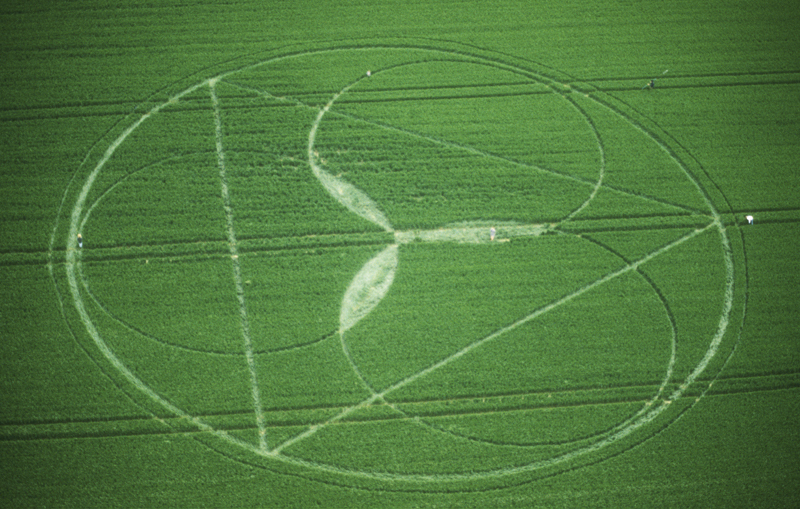 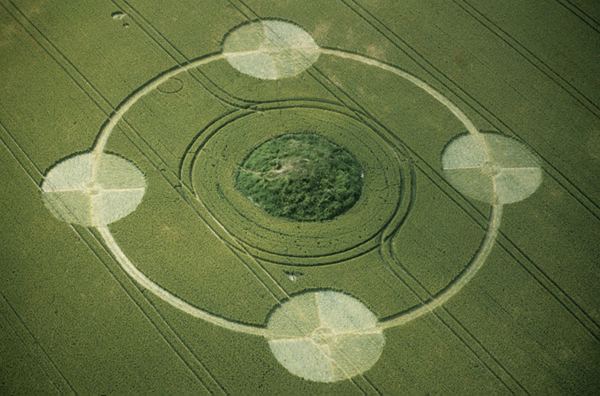 The Millennium brought another intense summer for the crop circles. 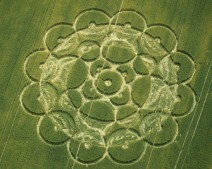 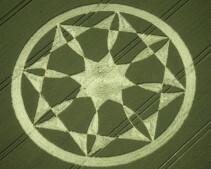 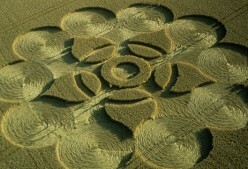 The fields were filled with beautiful mandalas, expressing all kinds of numbers and geometries. 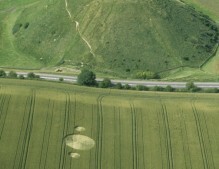 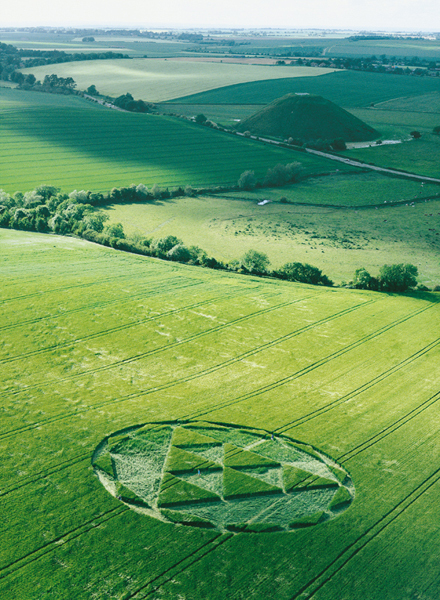 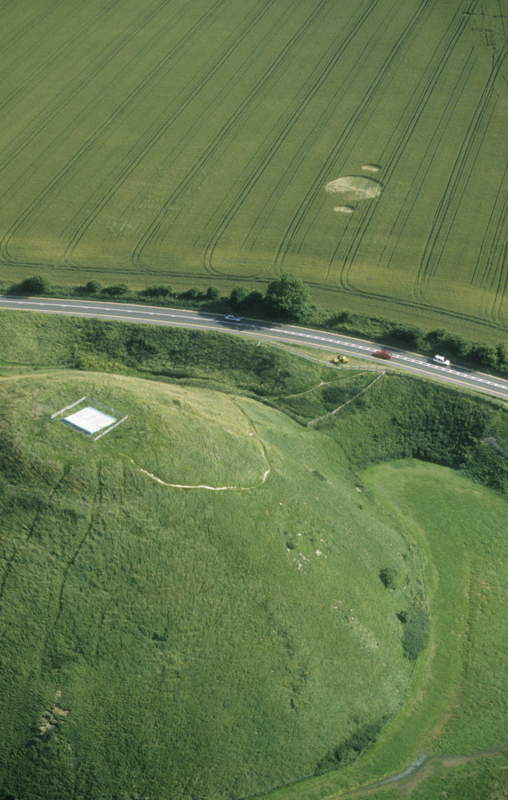 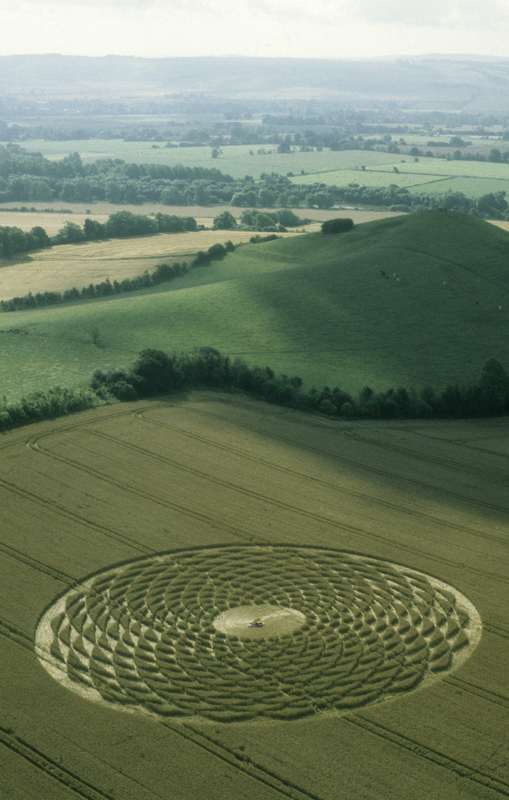 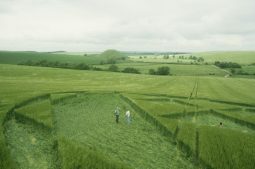 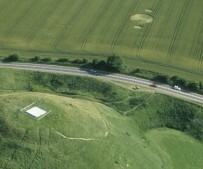 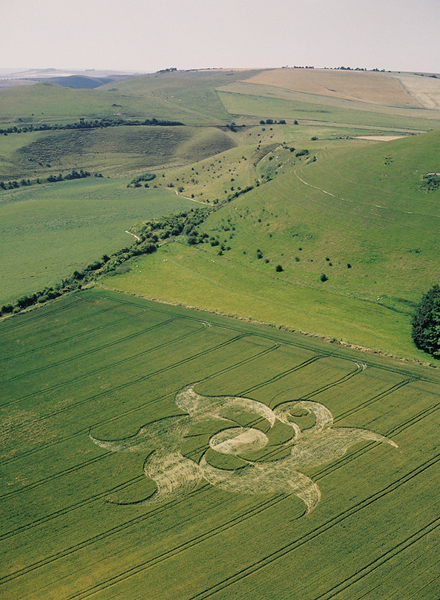 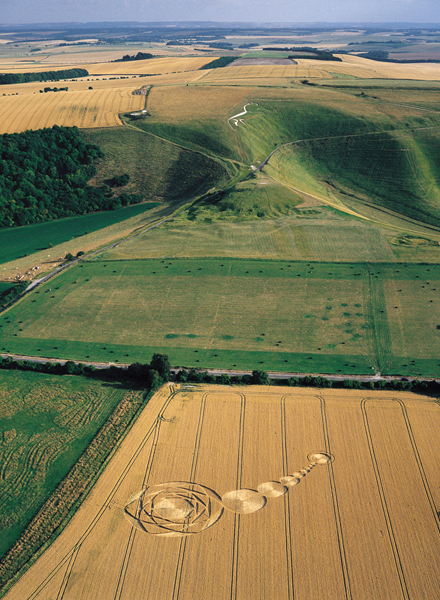 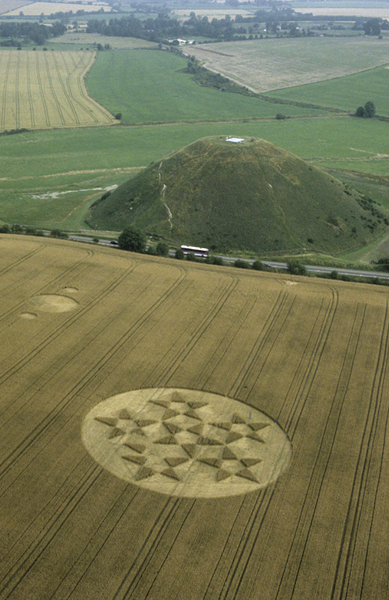 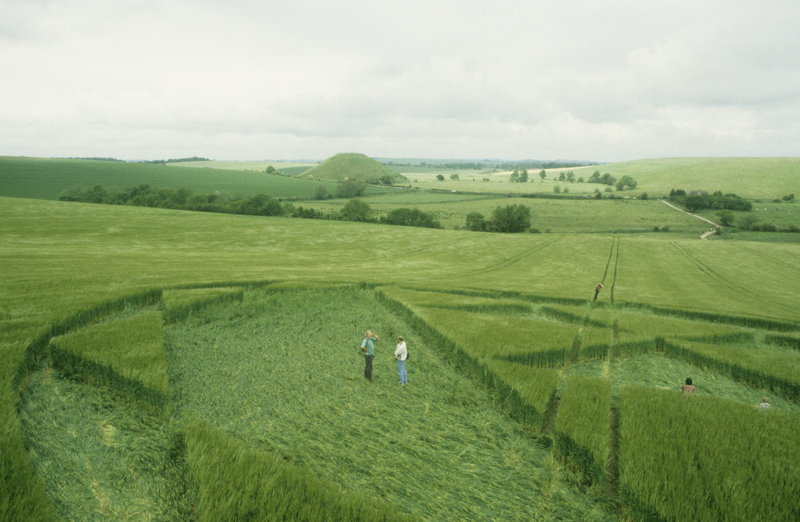 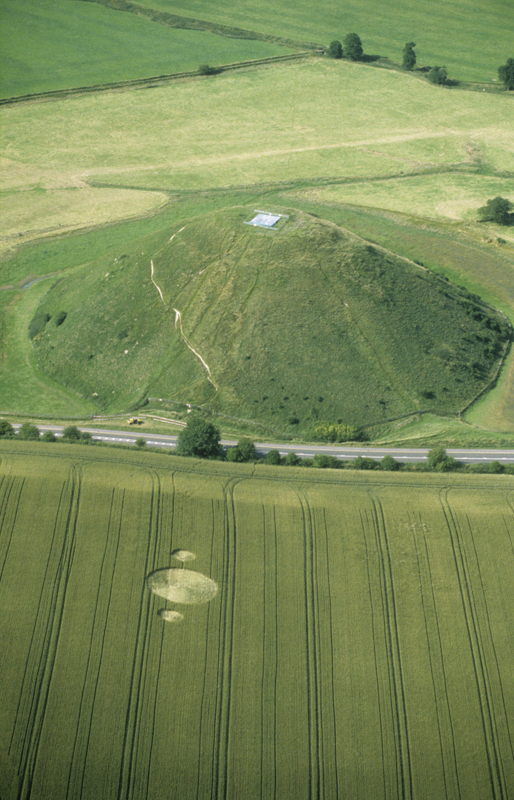 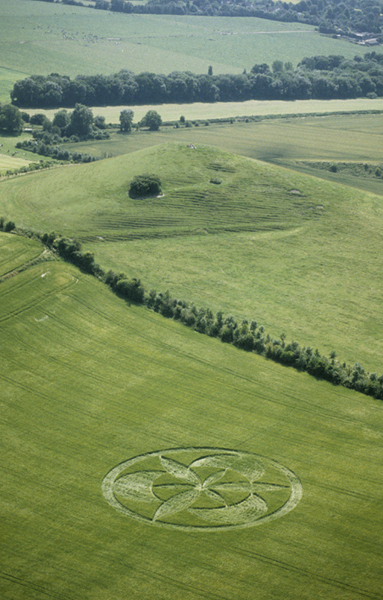 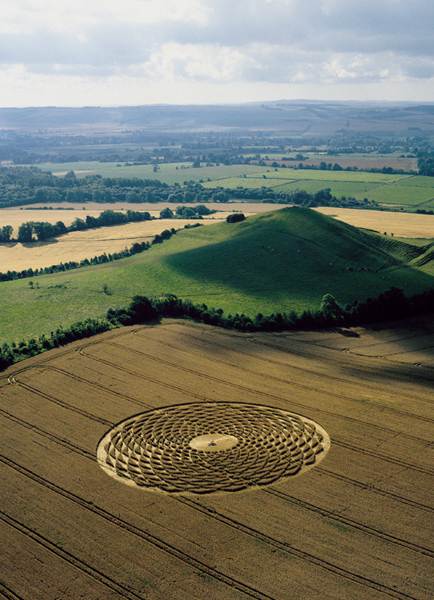 Highlights included the ‘Pincushion’ at Windmill Hill, the 16-fold wheel at Alton Barnes, the double squares (or octogram) at Bishops Cannings, the stunning ‘Magnetic Fields’ at Avebury Trusloe, the pentagrams at Silbury Hill, the cookie-cutter sharp nine-fold star at All Cannings Bridge and the magnificent finale at Picked Hill in Alton Priors – a gigantic and majestic mandala expressing ‘Pi’ as 44 circles and 14 concentric rings! 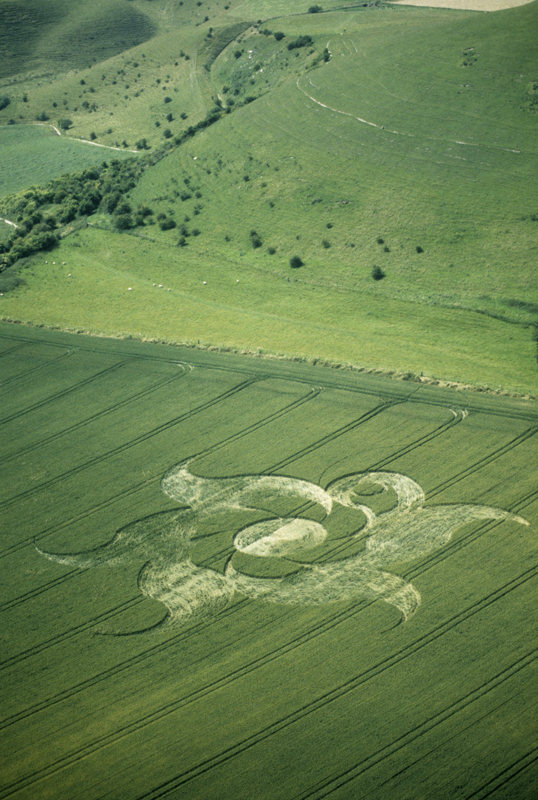 For this new website we have gone back through our archive, and painstakingly scanned and cleaned up many of our images to share with you for the first time – we hope you enjoy them!